evidence | JazzRoc versus "Chemtrails"
This is not my Introduction Page. If you want my “STOP PRESS” and access to ALL updated features of this site you should SAVE my Introduction Page to your Favorites. This a response to a long and plausibly persuasive letter written by someone called “Penrod” which has made the rounds of the chemtrail world over the past few years. It is without facts and evidence, but probably “works” because of its great size. The reader thinks to himself “no-one would write such a long letter if there weren’t something to it”. And of course, that was WHY it was written. This exercise in sophistry places the writer in a position superior, for instance, to the Neils Bohr Institute! Google Search Results 1 – 7 out of 645 for “paper” “aviation” “saturated” “atmosphere” “contrails” “-chemtrails” “-aerosols” – Dec 19th 2008. 1. Generally contrail ice in near equilibrium with ice mass proportional to contrail volume (except for the rapidly falling vortices early, and precipitation regions later). 2. 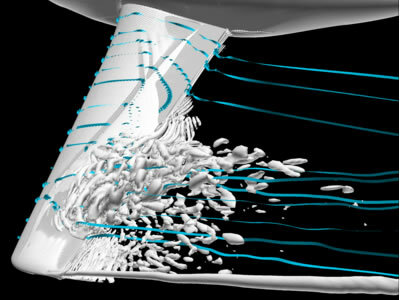 Contrail volume largely determined by vortex dynamics (until ~ 4 min.) and Brunt-Vaisala oscillations (until ~ 20 min.). 3. Passive tracer, ice mass and ice number density distributions differ (strong dependence on RH ice ). 4. Heating due to adiabatic compression of falling vortex system can lead to significant ice crystal number depletion. (depending on RH ice , EI ice# , aircraft type). 5. Strong species fluctuations can have a significant impact on measured chemistry [e.g. HO2 /OH] in the aircraft wake. You could, perhaps, look up the other 638 references, or select other relevant search terms, but you’ll notice I’ve chosen “chemtrails” and “aerosol” as terms to be excluded. As disreputable as it can be to engage in the unethical and underhanded, it can be as vile to know about the unscrupulous, and not acknowledge its existence. The author knows about both. The past few years has seen an unusual occurrence in the skies over the country. Several or more times a month, jet planes, flying overhead, would start leaving unorthodox trails in the sky. Instead of the normal kind of contrails, usually accredited to jet aircraft, which stretch for a short distance behind the tail of the jet, and dissipate, as the sun warms and evaporates the ice crystals in the tails, these would stretch, generally, from horizon to horizon. Jets would fly overhead, spouting white, straight, thin clouds behind them, but, instead of disappearing quickly, they would persist stubbornly, forming a long path across the sky. This happens in a humid stratosphere – ALWAYS. The lane of cloud laid, then, would start to spread, side to side. Over the space of up to several hours, it would hang in the air, expanding. As it spread, it would thin, but not enough to completely evaporate. Indeed, apparently, never does a chemtrail actually evaporate! Instead, it would form a haze, sometimes even oily in appearance, from one side of the sky to the other, marking the path the jet took, but many, many times wider. This happens because the trail gets caught up in the aircraft’s WAVE VORTEX – ALWAYS. One of the most basic laws of Science is the one which says: “things stay the same (wherever they are) unless something new is added to the equation”, ie., there is no magic, invisible, imperceptible operation whereby a static situation might be changed (anywhere), and thus it will remain in perpetuity. In our real world, and over considerable stretches of time, there are ALWAYS subtle operations taking place, but they are perceptible and they are measurable. In the case of persistent contrails, if we assume the ice crystals are precipitated into a perfectly-saturated layer, they are originally destined to remain in “perpetuity”. Stratospheric layers are normally stabilized and still, but then of course the passenger aircraft comes barreling along with its massive wave vortex (like two small tornadoes on their sides) and gets a’stirring. About a quarter of an hour later, the stirring has come to a stop through frictional forces, and then the crystals will start to slowly fall. The layer with its ice crystals spread throughout it is dependent on the incident sunlight for its density and altitude, and as night falls and the sunlight no longer supplies heat energy, it will contract and fall. The crystals may fall out of the layer at this time, but as they fall through the tropopause they will probably evaporate into the warmer air beneath. Ice crystals in the higher layers won’t have this option – they will fall slowly through the layer boundaries into lower layers. As the majority of stratospheric layers are NOT saturated, the crystals will sublime into water vapor (raising the humidity of that layer) and “disappear”. As the substance left behind by the passing plane slowly spread across the sky, it would come to be joined by one, then another, then another, as other jets covered the same area of sky. Eventually – in a very short time, in fact! – the entire sky could be covered with a wispy haze, and what was once a crystal clear day, now wouldn’t show a single patch of blue! And what sun did manage to shine through could, often, be accompanied by an oily, multi-colored reflection from the substance now lying thickly overhead. Stratospheric layers are THIN, and if heavily supersaturated can render themselves OPAQUE after the through flight of a SINGLE AIRCRAFT. The description “oily” is a consequence of INTERFERENCE by the very fine ICE crystals with the sunlight passing through them. This can only occur when the material – water – is PURE. With the exception of the nucleating molecule, regular crystal formation is not possible with adulterants present. A long-distance (5000 kilometer) flight by a Boeing 747 will spread the equivalent weight of its fuel load in ice into the stratosphere, where it will sublime and “disappear” if the layers are dry. However, if the layers are NOT, then it will persist and possibly accrete more ice. It is this vast (and non-intuitive) increase in trail size which fuels this debate. They become VAST… the jumbo flight we are considering here can precipitate 80,000 tons of ice – the weight of a large ocean liner! This has been a commonplace in the United States, and apparently, numerous other countries, as well, for about six years now! Those who examine these phenomena have termed them “chemtrails”, to distinguish them from contrails, and to emphasize the evident presence of foreign substances in the clouds. Since about 1997, these tracks have been a constant presence in the skies of the country. WRONG. 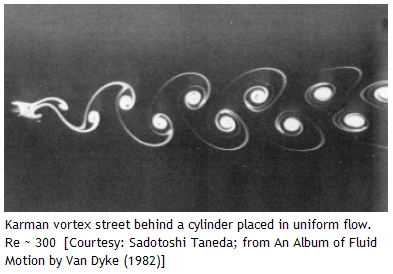 The phenomenon has been photographed continually since 1940. 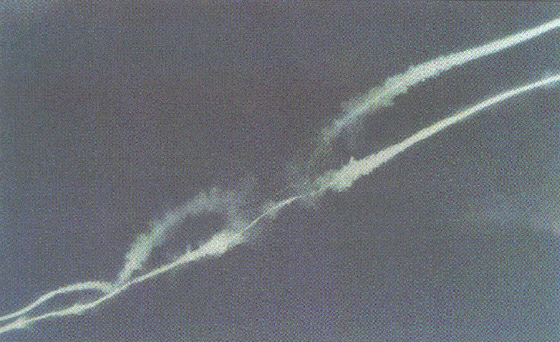 Persistent contrails are NOT a “constant presence”, but only to be found in humid conditions. “Chemtrails” are mythological. Sometimes, they can be in parallel lines. Sometimes, there can be several. Sometimes, there can be many, all at once. Sometimes, they can be curved. Sometimes, they can form “X”s. Sometimes, they form “H”s. Sometimes, they can form more elaborate patterns. Sometimes, they will form the collections of lines called “spider webs” or “grids”. Sometimes, they will form what is called the “fan pattern”. And, often, strange and even abnormal and bizarre effects can also be observed. And will ALWAYS be so observed, as they are the NORMAL consequence of CIVIL AVIATION TRAFFIC when the stratosphere is HUMID. And, when the trails appear, they can cause many different effects, besides ruining the appearance of a day. In some places afflicted by chemtrails, it is reported, for example, that, shortly afterward, heavy rains, likely induced by the trails, will form. But these rains, often, will rain down strange materials, evidently from the tracks in the sky. The OTHER WAY AROUND. The trails are caused by humid air in the first place. This humid air makes the rain. The proof of this is that trails are frequently seen from space over the mid-ocean. They always coincide with wet weather conditions. Some rainfalls will produce a thick, viscous, reddish material covering trees, cars and houses. Sometimes, a fine, spider web-like substance will be evident everywhere. And, often, residents living below the clouds will begin to experience serious symptoms, from headache to muscle aches to nausea to difficulty breathing to bloody noses! Many describe the symptoms as similar to flu and, indeed, in areas over which the chemtrails are formed, it is reported, advertisements for volunteers in a study of flu will appear in local newspapers a couple of days before the onslaught of chemicals in the sky. There have ALWAYS been these materials transported in the sky, just as people have ALWAYS experienced breathing illnesses and skin diseases. I remember having to scrape red Saharan sand off my car in Ellesmere Port, Cheshire, England, in 1973! Yes, by laying collection devices on the ground (as if trays were capable of rejecting ground-level dusts!). As instanced at the beginning of this article, proper scientific sampling and analyses of trails have been carried out at frequent intervals since the fifties by various professional authorities. what is being done to the people, and frequently opposed by evident betrayers of the public mandate. A BASELESS ACCUSATION, for which you have produced NO EVIDENCE whatsoever. The analyses that have been attempted have yielded constituents of the chemtrails ranging from ethylene dibromide to aluminum chaff to barium oxide to pseudonomas fluoroscens and pseudonomas aeruginosa. These ground level tray samplings have collected materials which are ALWAYS found EVERYWHERE you find MAN. Ethylene dibromide is a compound which, due to its fire repellant properties, has been added to JP-4 jet fuel to produce JP-8 fuel. It is a potent pesticide, which has also been listed by the EPA as one of the deadliest chemicals known. Both JP-5 and JP-8 are distillate fuels consisting of distilled process streams refined from crude petroleum. The characteristics of JP-8 fuel (such as density and distillation temperatures) are very similar to those of JP-5 (DOD 1992). There is no standard formula for jet fuels. Their exact composition depends on the crude oil from which they were refined. Variability in fuel composition occurs because of differences in the original crude oil (Custance et al. 1992; IARC 1989) and in the individual additives. As a result of this variability, little information exists on the exact chemical and physical properties of jet fuels (Custance et al. 1992). However, the differences in these fuels are minor. The primary ingredient of both JP-5 and JP-8 is kerosene, and the composition of these fuels is basically the same as kerosene, with the exceptions that they are made under more stringent conditions and contain various additives not found in kerosene (DOD 1992; IARC 1989). The crude oil from which JP-5 and JP-8 are refined is derived from petroleum, tar sands, oil shale, or mixtures thereof (DOD 1992). Typical additives to JP-5 and JP-8 include antioxidants (including phenolic antioxidants), static inhibitors, corrosion inhibitors, fuel system icing inhibitors, lubrication improvers, biocides, and thermal stability improvers (DOD 1992; IARC 1989; Pearson 1988). These additives are used only in specified amounts, as governed by military specifications (DOD 1992; IARC 1989). C16 range. Like all jet fuels, straight-run kerosene consists of a complex mixture of aliphatic and aromatic hydrocarbons (LARC 1989). Aliphatic alkanes (paraffins) and cycloalkanes (naphthenes) are hydrogen-saturated, clean burning, and chemically stable and together constitute the major part of kerosene (IARC 1989). 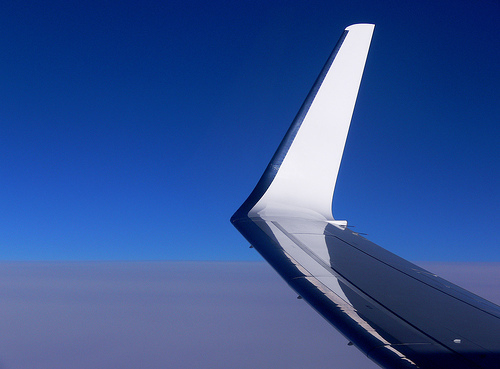 Aromatics comprise 1o-20% and olefins less than 1% of the jet fuels (JARC 1989). The boiling range of kerosene, JP-5, and JP-8 is well above the boiling point of benzene (a carcinogenic aromatic) and many polycyclic aromatic hydrocarbons (PAHs); consequently, the benzene content of kerosene and these jet fuels is normally below 0.02%, and PAHs are virtually excluded (IARC 1989). Aluminum chaff is powder, as fine as talc, used to scramble enemy radar. False. Chaff is composed offine needles of zinc-plated glass, their length tuned to the wavelength of the radar it is expected to jam. It was first used by Britain in WWII, when it was called “WINDOW”. It is expelled in “bursts”, not as a continuous stream! Its only purpose is to produce a stationary target “blip” on enemy radar screens. It is chemically inert, and similar to Christmas tinsel. Barium oxide is a crystalline compound purportedly useful for reflecting radio signals, supposedly making it possible to transmit over the curve of the earth. False. It is NOT crystalline. It will be not distinguishable from calcium oxide (quicklime), except by density. It was discovered to be possible to reflect radio beams off the underside of the ionosphere (a hundred miles up!) about a hundred years ago (Marconi). But the ionosphere does this normally. The use of Barium been tested once or twice in HAARP experiments to reach and focus over the horizon, using small sounding rockets. No aircraft fly that high. Pseudonomas fluoroscens is a bacteria capable of producing potent, flu-like symptoms. Pseudonomas aeruginosa, on the other hand, is considered one of the deadliest pathogens known. Epidemiology of Pseudomonas Aeruginosa infections: determination by pyocin typing. These are only a few of the unusual materials found in abnormal abundance after chemtrail appearances in many parts of the country! In their wake, numerous theories have been advanced for their presence. They are NOT “unusual” materials. They are ubiquitous! Aluminum chaff has been suggested as being used to prevent terrorist communications from being successful in the country. Barium oxide has been proposed to be being employed to facilitate American military and governmental broadcasts across the nation and overseas. It has also been linked to the generally obscure, but technically public, HAARP project. HAARP stands for High Frequency Active Auroral Research Program. It resides on a site apparently more than a mile square, near Galcona, Alaska. The purpose of the site is an almost 30 acre array of 180 antennas. They represent their intent to be to develop methods of using the earth’s aurora to facilitate communication and as an espionage tool. Barium oxide crystals are believed to be effective in this. So? A lot of actions are, have been, and will be “proposed”. HAARP’s capabilities are mostly line-of-sight. Only its low-energy wavelengths reach over its horizon. Barium Oxide is NOT stable: on meeting water it will react with it to form barium hydroxide and liberating heat. Ethylene dibromide and the numerous pathogens often found in abundance after massive chemtrail presence over an area have led to considerations that everything from eugenics to wholesale destruction of populations is an aim of the apparent campaign of serial spraying over the country. This statement is entirely without basis. Pathogens are ubiquitous throughout the entire world, and it would not be possible to NOT find them. EDB might only be found as a vapor, and in vanishingly small amounts. I do not believe that at normal trace dilution in air it would be even possible to identify EDB. Other theories such as weather manipulation and control of global warming have been advanced for the spraying in the skies over the nation. The fact that rainstorms are often claimed to result from chemtrails in the Pacific Northwest can relate to this, but, in that area, many of the instances of severe sickness after chemtrails have also been reported. Such propositions are abstract and are not real. Contrails precede rainstorms because they are both consequential upon HUMIDITY. Correlation and causation have been proved in this case. Satellite pictures of trails confirm this. In the case of contrails and sickness, correlation has been proved not to mean causation. Infection normally has a causation closer to home, such as public transport, meeting places – other people. In fact, though, it is often possible to raise objections to each theory, and that fact is frequently employed by those who call themselves “debunkers” to criticize, demean and even baldly ridicule those who want an answer to the issue of chemtrails! It is possible to counter each theory, it appears, because, in fact, no one is universally correct! Countering you is easy, for you are universally INCORRECT. It appears that many different purposes are being served by chemtrails, and, for each, different substances are being sprayed into the air. To claim one unique purpose for every case of aerial spraying is to run the risk of not identifying correctly what is being done in each particular area. It appears that, stuck with a range of theories which are all baseless, you haven’t a clue as to what to attribute to which. Unsurprisingly. Is it the military which conducts this “world-wide” campaign, or the civil passenger jets? For example, in the Northeastern part of the United States, chemtrails have been a prevalent sight for some time, now. However, there, they rarely, if ever, precipitate a rainstorm. Indeed, in that part of the country, the purpose of chemtrails seems to be to forestall rainfall. One reason for your confusion is that you fail to distinguish between the troposphere and the stratosphere. The former is what YOU call “the weather”, the latter is where AIRPLANES FLY. Calling contrails “chemtrails” without basis is all you are doing here. Since at least winter of 2002, that part of the country has experienced massive drought. Reservoir levels are down almost to record lows, if not actually below them! Yet, in that time, chemtrailing has been very frequent! In fact, it had become a pattern that forecasters would predict showers or even thunderstorms a couple of days ahead, then chemtrails would be seen in abundance in the sky, and, afterward, the predicted precipitation would not come! The region would be lucky if it got a misting on days when, previously, thunderstorms were forecast. This went on through most of the winter of 2002, and has begun, again, the past couple of months. Correlation does not mean causation. When groundwater is sampled during dry periods, then the concentration of its dissolved solids rises. That is the causation. There is nothing here permitting you to claim “chemtrailing has been very frequent“! The reason for this seems to be that, in the Northeast, the purpose of chemtrails was to disturb the process that can generate a rainstorm. As I said before, your failure to make accurate distinctions leads you on to completely baseless accusations. In general, a rainstorm can occur if warm, wet air rises particularly quickly into an overlying cold area. In the troposphere all air is “wet” (even when it is CLEAR). All overlying air is colder. That is why it is UNSTABLE. All it needs is a source of heat beneath it to start it moving upwards. This can result in the rapid cooling of water into clouds like thunderheads. The rising air ISN’T COOLED by the overlying air: it cools by ADIABATIC EXPANSION as it rises into a lowering pressure. The cumulonimbus anvil you see above is spreading out as it meets this change in air conditions (troposphere-to-stratosphere). If you look you can see the change in conditions. Above the tropopause (where the air temperature at an absolute minimum) is the stratosphere, where the air temperature rises with increasing altitude. The sudden, uncontrolled invasion of wet air into cool air seems to spawn many of the systems that give rise to rainstorms. Rubbish. “Sudden, uncontrolled invasion” is the way the physics of the troposphere normally operates! What chemtrails seem to have been used to accomplish, for at least the past year in the Northeast, has been to steadily gently mix the air at the boundary layers between air masses. More rubbish: stratospheric layers do not intermix: they remain in STRATA (layers). That is WHY the stratosphere is so called. Flying in the border between wet and cold air, the chemtrails seem to have been intended to control the rate and degree of mixing of the air, allowing cloud banks to form, but not swiftly and suddenly. Wispy but not stormy cirrus clouds were the inevitable result, each time, the sky hazing over into a sheet of white, but never cumulous clouds. There are NO SUCH CLOUDS as “stormy cirrus clouds”. Cirrus clouds are in the stratosphere, which lies above ALL storms. “Horsetail” cirrus is caused by shear between layers. The layers do not mix when they shear. Among other things countering the “arguments” of debunkers that chemtrails are only normal contrails, and not some kind of controlled program on the part of government, is that, when chemtrails formed in the Northeast, for at least the past year, cumulous clouds never formed! If chemtrails were harmless and innocuous paths of water vapor from random jets, there would have to have been at least one case when cumulous clouds formed, following such an onslaught. But they never did. Seems reasonable to you who doesn’t understand that the stratosphere is ABOVE the troposphere, which is where cumulus clouds may be found, and NEVER MIXES WITH IT. Most cumulus clouds are ten thousand feet (two miles) beneath the stratosphere! The only reason any relief was seen in the past year in the Northeast was that chemtrails were not always laid immediately prior to an expected storm system. For a period, near the end of winter 2002, and into the beginning of spring 2002, chemtrails were not laid, just before storm fronts were expected. When a storm was predicted, and chemtrails were not produced in the sky, the storm, generally, occurred. In the last of the letters we sent, we outlined the means whereby chemtrails could be used to prevent rain and promote drought. Immediately following them, the chemtrails slacked off in the Northeast, rains picked up and the drought lessened significantly. The connection is not easily deniable, if at all. But a deliberate, planned nature of the phenomena is eminently apparent. Certainly, the chemtrails utilized in the Northeast, for about the last year, follow a pattern apparently geared toward controlling the mixing of air layers. Once they begin, they generally last for between four and six hours. They can occur twice in a day, but not often. They have been known to occur at night, also. Not only do they evidently prevent cumulus clouds from forming, these chemtrails almost never occur on a day when there are cumulus clouds in the sky! Once the clouds characteristic of the kind of chaotic mixing of air masses, that produces rainstorms, are present, it seems the purpose of the chemtrails in the Northeast is obviated, so they aren’t attempted. They generally do not occur, too, on very windy days, but they occur more during windy days than on days with cumulus clouds. On windy days there generally isn’t an air layer overlying another, so the object of chemtrails seems nonexistent for the most part then. They also seem to occur more often on warm days, than on cold, or on the warmest day in a span of days. This whole paragraph characterises the meaninglessness you might find both if you attempt to find a formula for what is essentially a chaotic natural process, and when you don’t understand the ordinary processes either. The physics of such processes are well known, of course. They can be simulated, but can NEVER be predicted. The constant feature of your writing is your failure to distinguish between the differing properties of the troposphere and the stratosphere, and the vast difference in height (and temperature, and, incidentally, pressure) between the two. Chemtrails in other parts of the country may be for other purposes, and so may not be laid in the same patterns as those in the Northeast – those in the Pacific Northwest, for example, may be intended to facilitate the operation of the HAARP project, only a short ways north, in Alaska – but the serious drought conditions that afflicted the country, this year, seem to indicate that that was a purpose for many of those observed in the last few months. There seems little plausible reason – if any – to doubt that chemtrails are deliberately produced, and not normal contrails. You haven’t actually given ANY reason to claim this. So why should they exist? Unsurprisingly, however, though, there are those who seek to oppose the assertions of those who contend that chemtrails are abnormal, and should be stopped. Apparently calculatedly, they term themselves “debunkers”, to inculcate the perception that concern over chemtrails is, more than “misguided”, an out-and-out hoax or fraud! Indeed, a number of them have used the term “hoax” in describing the concern over chemtrails – evidently suggesting that those who address the issue are actually pulling a prank on themselves – and even accused some who pursue the issue of doing it purely for personal profit. Anyone who forms opinions on a topic before he has educated himself HAS pulled a prank on himself! As if someone choosing to try to make a profit off a situation suddenly makes that situation not exist. Many have tried to hawk fake nostrums to eliminate the symptoms of the common cold, but that doesn’t make the common cold nonexistent. I see. “Chemtrails” are real BECAUSE chemtrailers are fraudulent. Moreover, the “debunkers” regularly tout the software, Flight Explorer, to “identify” aircraft using routes where chemtrails form. Not only do they apparently, wish to negate the existence of chemtrails by simply calling them contrails, they seem to want to convince the public that they arise from innocuous, harmless aircraft simply because unidentified, unverified information a piece of software displays on a screen says it does. They try to “counsel” people against using the guidance of their eyes and their common sense in chemtrails; they, instead, apparently, want them to blindly obey “the official story”. The “official story” happens to be established atmospheric science. Your whole attitude to science is one of contempt. Indeed, such faulty “reasoning”, coupled with an attitude of guile and contempt, seems universally to characterize the chemtrail debunkers. Use your eyes. The Sun goes round the Earth doesn’t it? Scientists are WRONG, are they? As their own “explanation” of the phenomenon, they carp the common line that “under certain precise conditions of temperature, pressure and humidity, water vapor from jet exhaust will act as the nuclei for condensation of water in the air around the jet. “The preciseness of the conditions, evidently, is intended to “explain” why all jet trails are not the elongated, long lasting sight that chemtrails are. But, within at least the last year, days with chemtrails constitute no less than about a third of the entire year! In many cases, we woke up to already hazed over skies, indicating that chemtrailing had been done before dawn, or deformed, but elongated, wispy clouds would be present in the sky, indicating that chemtrails had been laid elsewhere, and drifted to where we were. As a result, chemtrail days constitute no less than one third, and, sometimes, no less than 40%, of the days! Far from a “precise” set of circumstances. If you add in the fact that, even after chemtrails may have passed, persistent haze can remain in the upper atmosphere, turning the sky a sickish white, or limiting the blueness of the natural sky that is permitted to show through, you have that no more than two or three genuinely blue sky days are permitted per month, anymore! Chemtrail opponents list this as one of their primary complaints with chemtrails, as well, the simple fact that they are being systematically robbed of their blue sky. Only a few decades ago, summer could guarantee weeks worth of clear, blue days. Now, to have just one is an event, at least in the Northeast. During the past summer, in Northern New Jersey, there haven’t been more than five or six days, all told, that were bright blue. Nor is this an insignificant thing. Substituting bright blue days with heavily overcast, low-hanging skies, or persistent mists, instead of the kind of rain that will clear a sky of haze, produces a listless even despondent atmosphere. Over time, it can depress individuals and even sap them of initiative. A million tons of ice dumped daily into the stratosphere is bound to change things, but you appear to forget that there are such things as “dull days” in normal weather. Chemtrails don’t exist, and it seems it’s you who are depressed and lacking the initiative to learn about atmospheric science. Experiments during the Seventies and Eighties, in fact, suggested that certain colors can promote certain types of responses. Pink was found, in some, to have a calming effect; brown and orange were found to stimulate appetite; and bright, light blue was found to promote imagination. Isolation cells in a number of jails, as a result of this, were painted pink, and the prevalence of browns, oranges and reds in the color schemes of fast food restaurants, during the Eighties, is testament to an evident unscrupulousness in their “marketing” tactics! Withholding clear skies from the populace seems, also, targeted at controlling the people’s initiative and foresight. Someone in government, it appears, doesn’t want the people to think for themselves about what they see going on around them. You are attempting to link in other things to convince yourself. In fact, the research into the psychological effects of colors has a much older history than you appear to know. As reliable as the provability of tenuousness in the debunkers, “arguments” – and the eminent apparent danger in chemtrailing – is the debunkers’ coming up with yet other attempts at discrediting those who oppose chemtrails. They couldn’t deny the existence of days when huge numbers of chemtrails clutter the skies, because innumerable photographs to the contrary exist. If that wasn’t the case, there is little doubt they would try to utterly and baldly deny their existence, altogether. Initially, though, they did, apparently, try the wheeze that “aircraft exhaust can’t alter the environment”! That has since been overturned by a number of studies indicating that, at the very least, the obscuring effect of normal contrails was enough to lower the earth’s temperature by at least 1º Fahrenheit. During daytime – and RAISING it by one degree during the night. Net result zero. Equally as determinedly posited was the assertion that, even if long, environmentally-altering trails were being laid, it wasn’t deliberate. Countering that is the revelation that numerous patents and proposals for using aircraft to affect weather have been filed, in the past few years alone! “Cloudseeding” is the least of the methods; preventing global warming was a major goal of many. Recently, too, even the military published a proposal tothe effect of using weather control in wartime as a “force multiplier” against enemy troops. They termed their proposal “Owning the Weather by 2025”. Yes, many things are proposed, but proposition doesn’t guarantee existence. Much as correlation doesn’t guarantee causation. A lie, because so far you still haven’t produced even a single item of evidence. Not even over ten years of trying. debunkers have taken up the line that, even though jet exhaust can affect the environment, and even though there are plans to utilize that to control the weather, jets never release anything other than normal exhaust into the air. In the recent past, however, CNN aired a report of military planes, among other things, releasing egg whites into the air to test radar methods for, putatively, tracking drug planes! It is questionable what aspect of the situation the debunkers will attempt to attack next. BUNKUM is always worth attacking. There’s no UPSIDE to BUNKUM. And the debunkers have shown every determination to oppose suspicion about and examination of chemtrails as much as would be necessary to end questioning about them! They have taken out whole websites devoted to opposing chemtrail suspicions; they have even launched mirror sites of websites, to provide as much a saturation of the internet with their evident propaganda as possible! In my case, I met this bunkum a year and a half ago. I too am taking steps to counteract the social damage caused by your lies and libels and slanders. While you waste everyone’s time on this bunkum, people are still suffering the ills you mention (which have, obviously, other causes). They run the gamut from an individual that calls herself “ChickieDeb”, and identifies herself as “a housewife from Indiana” – ChickieDeb being one of those who launched three websites devoted to debunking – to an organization given the frankly questionable name “New Mexicans for Science and Reason – suggesting they see “science” and “reason” to be two totally separate and unrelated things. I think not! Reason is the first step in science. Jay Reynolds, who seems proud to oppose the assertion that chemtrails are not normal contrails, and who also sponsored three separate sites to mirror his assertions, likewise states, on his website: “the real state of things that agrees with facts and reality.” Meaning, presumably, that, for Mr. Reynolds, “facts” and “reality” are two totally separate and unrelated things. Before struggling to oppose investigation into chemtrails, the debunkers, it appears, should attempt developing a pose that doesn’t come across as that of an incompetent poseur. Once more, I think not! The nature of the debunkers’ refutations, however, is consistent with the stock in trade of those without a leg to stand on. Pre-eminent among their “tools” is out-and-out derision. Jay Reynolds titles his mirror sites “Contrails or Trails-CON?” One of the devotees of chemtrail examination, William Thomas, he terms a “snake oil salesman”. The temptation to deride you is hard to resist. You still haven’t produced any evidence, and now you’re into “ad-hominem” fallacies! A laudable question. It is you who is “deceiving people about the reality of chemtrails”! And you who is creating needless fear. Apparently she couldn’t be happier if everyone agreed not to be concerned about what is being done to their environment, and just let their rights and interests be run roughshod over! Even an atheist would accept that God would not have created man just to sit and watch the world; a purpose for creating man was so that man could do things and not leave it to God to “take care of things by Himself”. Having people stand up for themselves, however, seems anathema to what ChickieDeb has in mind for them. I AM an atheist, thankyou, and don’t need YOU to put words in my mouth. As an atheist I don’t accept that “God” exists. Nor should you put words in her mouth. You still haven’t produced any evidence. The debunkers seem never at a loss for disparaging names to call those who seem to threaten the government secret they work so hard to hide, or a boundless store of contempt for others. It’s boundless for those slanderers and time-wasters like you. The evident attempt to vilify suspicion of chemtrails is also a commonplace on debunkers, websites. ChickieDeb titles at least one of her mirror sites, worldzone.net/international.checkiedeb, “CHEMTRAIL HOAX – The Best Kept Secret In the World”. On that site, ChickieDeb gives space to an article by Jay Reynolds, entitled “HOW TO RUN A CHEMTRAIL SCARE FOR FUN AND PROFIT”. On one of the pages on one of ChickieDeb’s mirror sites,www.worldzone.net/international/chickiedeb/cgi/col2.shtml, chemtrail opponents are belittled for accusing debunkers of not using logic, and it is said, of them, that “they refuse to recognize logic and rationale”. Shame, the link’s non-existent (like your evidence. But I found the article, thanks). “Rationale”, it could be mentioned, for ChickieDeb’s information, means the “excuse” or “justification” one uses to “explain” their actions. It is not an accompanying quality with logic. What ChickieDeb seems to have wanted to mention – yet apparently did not have the depth of education to supply – was “rationality”. On the page, worldzone.net/international/chickiedeb//cgi/eyeswideshut.shtml, ChickieDeb acknowledges that a term the debunkers use for chemtrail opponents is “Insane Cloud Posse”. Contempt is a large part of the debunkers, stock in trade. When not engaging in determined vituperation of chemtrail opponents, the debunkers attempt a “validation” of their condemnation of chemtrail concerns, usually through patently indulgence in fraudulent double-talk and specious “demonstrations”. This definition of science, I know, precedes your demonstration of complete scientific ignorance. contends that long lasting contrails can occur if the temperature is less than 70º and the relative humidity of air, compared to ice is greater than 100%, that is, there is more than enough water vapor to replace ice as ice dissolves in the sunlight. The apparent purpose of this seems to be just to give the impression that long lasting contrails are possible. But it soon became evident that this was also describing an eminently unlikely – if not patently impossible – situation. To apparently patch up this problem, ChickieDeb on the web page cdebsjournal.topcities.com/leadpage.htm, apparently desperately and recklessly blurts that “contrails can occur with zero humidity if the temperature is cold enough”. Leaving aside the fact that she conveniently says only that “contrails” – not long-lasting contrails – can occur under those conditions – which no one denies – on the web page the link she provides leads to, someone named Dr. Patrick Minnis asserts only that meteorological instruments reading humidity at high altitudes have been supposedly, consistently wrong, so that presumably high altitude humidities are larger than expected. There is nothing either unlikely or impossible about this. There ARE problems with measuring high-altitude humidities due to icing taking place at the instrument aperture. Attempting to use heating to clear it will obviously distort the humidity figures. It can be done these days using “remote” laser interferometry from the ground. Importantly, on the page, it also refers only to “contrails” forming, not long-lasting contrails. In what seems to constitute little more than what is termed “hand-waving”, Dr. Minnis then goes on to state, without explanation or justification, that relative humidities have to be greater than 100% for “contrails to persist for very long”, but, “at those cold temperatures, a small error in moisture measurement” can lead to “a large error” in the relative humidity. Supposedly, then, not only are relative humidities at high altitudes greater than previously thought, they, putatively, are even greater than they appear, because readings might have a small error that can translate into a massive difference in the actual humidity. “someone named Dr. Patrick Minnis”? Do you mean THIS person? PATRICK MINNIS, Climate Sciences Branch, NASA Langley Research Center, Mail Stop 420, Hampton, VA 23681. Born in Shawnee, Oklahoma. Raised in Oklahoma City, Oklahoma graduating from Casady School in 1968. 1991 – Ph.D., University of Utah, Salt Lake City, UT, Meteorology 1978 – M.S., Colorado State University, Ft. Collins, CO, Atmospheric Science 1972 – B.E., Vanderbilt University, Nashville, TN, Materials Science & Metallurgical Engineering, Senior Research Scientist, NASA Langley Research Center Science Directorate, 1981-1986, Research Scientist, NASA Langley Research Center Materials Application and Technology Division, 1977-1981, Research Engineer, Kentron International, 1972-1975, Product Engineer, Ferro Fiberglass. Who knows better than anyone else (except the other members of his team) about the condition of the Earth’s atmosphere – THAT Dr. Minnis? Minnis, Patrick and Cox, Stephen K.: A Polynominal Representation of 6.3mm Water Vapor and 4.3mm CO2 Atmospheric Transmissivities. Atmospheric Science Paper No. 264, Colorado State University, Ft. Collins, Colorado, 20 pp., December 1976. Minnis, Patrick and Cox, Stephen K.: Magnitude of the Radiative Effects of the Sahara Dust Layer. Atmospheric Science Paper No. 283, Colorado State University, Ft. Collins, Colorado, 111 pp., January 1978. Harrison, Edwin F.; Minnis, Patrick; Gibson, Gary G.: Orbital and Cloud Sampling Analyses for Multisatellite Earth Radiation Budget Experiments.Journal of Spacecraft and Rockets, Vol. 20, No. 5, pp. 491-495, September-October 1983. Brooks, David R. and Minnis, Patrick: Comparison of Longwave Diurnal Models Applied to Simulations of the Earth Radiation Budget Experiment. 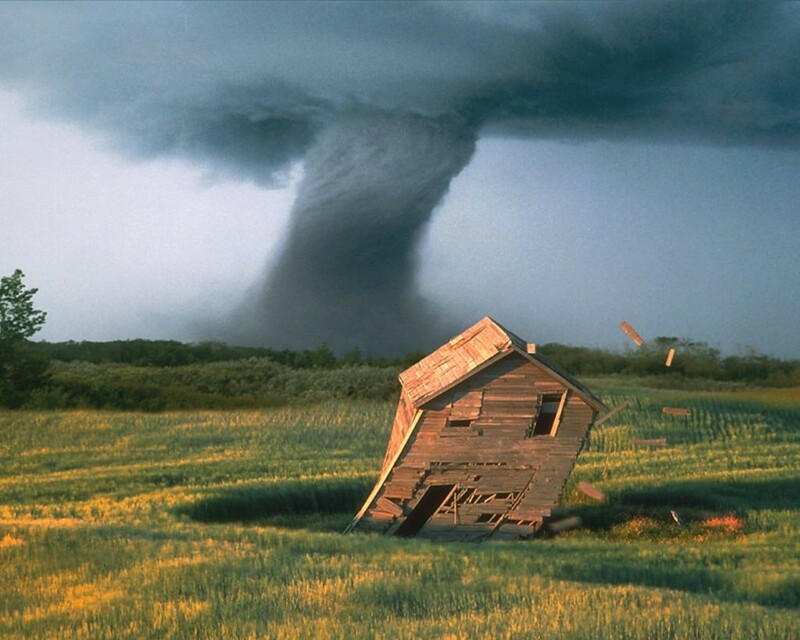 Journal of Climate and Applied Meteorology, Vol. 23, pp. 155-160, January 1984. Brooks, David R. and Minnis, Patrick: Simulation of the Earth’s Monthly Average Regional Radiation Balance Derived from Satellite Measurements. Journal of Climate and Applied Meteorology, Vol. 23, pp. 392-403, March 1984. Minnis, Patrick and Harrison, Edwin F.: Diurnal Variability of Regional Cloud and Clear-Sky Radiative Parameters Derived from GOES Data, Part I: Analysis Method. Journal of Climate and Applied Meteorology, Vol. 23, pp. 993-1011, July 1984. Minnis, Patrick and Harrison, Edwin F.: Diurnal Variability of Regional Cloud and Clear-Sky Radiative Parameters Derived from GOES Data, Part II: November 1978 Cloud Distribution. Journal of Climate and Applied Meteorology, Vol. 23, pp. 1012-1031, July 1984. Minnis, Patrick and Harrison, Edwin F.: Diurnal Variability of Regional Cloud and Clear-Sky Radiative Parameters Derived from GOES Data; Part III: November 1978 Radiative Parameters. Journal of Climate and Applied Meteorology, Vol. 23, pp. 1032-1052, July 1984. Brooks, David R.; England, Christopher F.; Hunt, Gary E., and Minnis, Patrick: An Intercomparison of Meteosat 1 and GOES 2 Visible and Infrared Measurements. Journal of Atmospheric and Oceanographic Technology, pp. 283-286, September 1984. Stuhlmann, Rolf; Minnis, Patrick, and Smith, G. Louis: Cloud Bidirectional Reflectance Functions: A Comparison of Experimental and Theoretical Results. Applied Optics, pp. 396-401, February 1985. Rossow, W.; Mosher, F.; Kinsella, E.; Arking, A.; Desbois, M.; Harrison, E.; Minnis, P.; Ruprecht, E.; Simmer, C., and Smith, E.: ISCCP Cloud Algorithm Intercomparison. Journal of Climate and Applied Meteorology, Vol. 24, pp. 877-903, September 1985. Briegleb, B. P.; Minnis, P.; Ramanathan, V., and Harrison, E. F.: Comparison of Regional Clear-Sky Albedos Inferred from Satellite Observations and Model Computations. Journal of Climate and Applied Meteorology, Vol. 25, pp. 214-226, February 1986. Brooks, D. R.; Harrison, E. F.; Minnis, P.; Suttles, J. T., and Kandel, R. S.: Development of Algorithms for Understanding the Temporal and Spatial Variability of the Earth’s Radiation Balance. Reviews of Geophysics, Vol. 24, pp. 422-438, May 1986. Fishman, J.; Minnis, P., and Riechle, Jr., H. G.: Use of Satellite Data to Study Ozone in the Tropics. Journal of Geophysical Research, Vol. 91, pp. 14451-14465, December 1986. Minnis, P.; Harrison, E. F.; Brooks, D. R., and Young, D. F.: Temporal Variability of the Radiation Budget over the Tibetan Plateau Determined from the ERBE Satellites. Atmospheric Radiation, Progress and Prospects: Proceedings of the Beijing International Radiation Symposium, China Press, pp. 76-81, 1987. Minnis, P.; Harrison, E. F.; and Gibson, G. G.: Cloud Cover over the Equatorial Eastern Pacific Derived from July 1983 ISCCP Data Using a Hybrid Bispectral Threshold Method. Journal of Geophysical Research, Vol. 92, pp. 4051-4073, April 1987. Potter, G. L.; Cess, R. D.; Minnis, P.; Harrison, E. F., and V. Ramanathan: Diurnal Variability of the Planetary Albedo: An Appraisal with Satellite Measurements and General Circulation Models. Journal of Climate, Vol. 1, pp. 233- 239, Mar. 1988. Suttles, J. T.; Green, R. N.; Minnis, P.; Smith, G. L.; Staylor, W. F.; Wielicki, B. A.; Walker, I. J.; Young, D. F.; Taylor, V. R., and Stowe, L. L.: Angular Radiation Models for Earth-Atmosphere System: Volume I – Shortwave Radiation.NASA RP 1184, 144 pp., July 1988. Minnis, P. and Wielicki, B. A.: Comparison of Cloud Amounts Using GOES and Landsat Data.Journal of Geophysical Research, Vol. 93, pp. 9385-9403, August 1988. Harrison, E. F.; Brooks, D. R.; Minnis, P.; Wielicki, B. A.; Staylor, W. F.; Gibson, G. G.; Young, D. F.; Denn, F. M., and the ERBE Science Team: First Estimates of the Diurnal Variation of Longwave Radiation from the Multiple-Satellite Earth Radiation Budget Experiment (ERBE).Bulletin of the American Meteorological Society, Vol. 69, pp. 1144-1151, October 1988. Ramanthan, V.; Cess, R. D.; Harrison, E. F.; Minnis, P.; Barkstrom, B. R.; Ahmad, E., and Hartmann, D.: Cloud-Radiative Forcing and Climate: Results from the Earth Radiation Budget Experiment. Science, Vol. 243, pp. 57-63, January 1989. Minnis, P.: Viewing Zenith Angle Dependence of Cloudiness Determined from Coincident GOES East and GOES West Data( size ~10 MB). Journal of Geophysical Research , Vol. 94, pp. 2303-2320, January 1989. Harrison, E. F.; Minnis, P.; Barkstrom, B. R.; Ramanathan, V.; Cess, R. D., and Gibson, G. G.: Seasonal Variation of Cloud Radiative Forcing Derived from the Earth Radiation Budget Experiment. Journal of Geophysical Research, Vol. 95, pp. 18687-18703, October 1990. Minnis, P.; Young, D. F.; Sassen, K.; Alvarez, J. M., and Grund, C. J.: The 27-28 October 1986 FIRE IFO Case Study: Cirrus Parameter Relationships Derived from Satellite and Lidar Data. Monthly Weather Review, Vol. 118, pp. 2402 – 2425, November 1990. Minnis, P.; Heck, P. W., and Harrison, E. F.: The 27-28 October 1986 FIRE IFO Case Study: Cloud Parameter Fields Derived from Satellite Data. Monthly Weather Review, Vol. 118, pp. 2426- 2446, November 1990. Cahoon, D. R.; Levine, J. S.; Cofer III, W. R.; Miller, J. E.; Minnis, P.; Tenille, G. M.; Yip, T. W.; Heck, P. W., and Stocks, B. J.: The Great Chinese Fire of 1987: A View from Space. Global Biomass Burning: Atmospheric, Climate, and, Biospheric Implications, MIT Press, pp. 61-66, 1991. 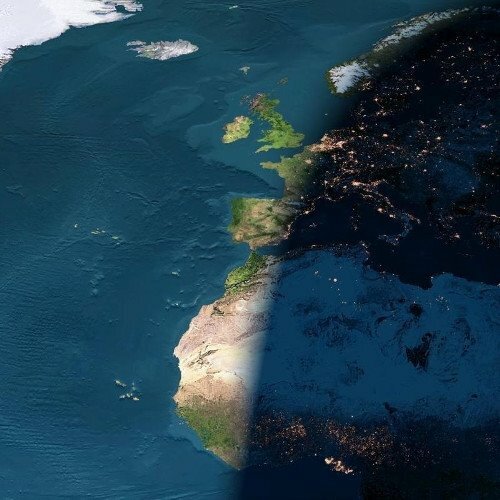 Minnis, P.; Young, D. F., and Harrison, E. F.: Examination of the Relationship between Infrared Window Radiance and the Total Outgoing Longwave Flux Using Satellite Data. Journal of Climate, Vol. 4, pp. 1114-1133, October, 1991. Harrison, E. F.; Minnis, E. F.; Gibson, G. G.; and Denn, F. M.: Orbital Analysis and Instrument Viewing Geometry Considerations for the Earth Observing System (EOS) Satellite. Astrodynamics, Advances in the Astronuatical Sciences, Vol. 76, pp. 1215-1227, 1991. Minnis, P.; Heck, P. W.; Young, D. F.; Fairall, C. W., and Snider, J. B.: Stratocumulus Cloud Properties Derived from Simultaneous Satellite and Island-Based Instrumentation During FIRE, Journal of Applied Meteorology, Vol. 31, pp. 317-339, April 1992. 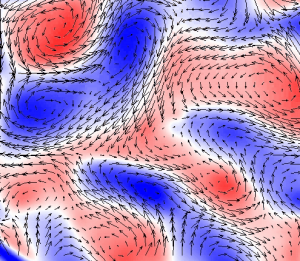 Betts, A. K.; Minnis, P.; Ridgway, W., and Young, D. F.: Integration of Satellite and Surface Data Using a Radiative-Convective Oceanic Boundary Layer Model, Journal of Applied Meteorology, Vol. 31, pp. 340-350, April 1992. Baum, B. A.; Wielicki, B. A.; Minnis, P., and Parker, L.: Cloud Property Retrieval Using Merged HIRS and AVHRR Data. Journal of Applied Meteorology, Vol. 31, pp. 351-369, April 1992. Cess, R. D.; Harrison, E. F.; Minnis, P.; Barkstrom, B. R.; Ramanathan, V., and Kwon, T. Y.: Interpretation of Seasonal Cloud-Climate Interaction Using Earth Radiation Budget Experiment Data. Journal of Geophysical Research, Vol. 97, pp. 7613-7617, May 1992. Takano, Y.; Liou, K.-N., and Minnis, P.: The Effects of Small Ice Crystals on Cirrus Infrared Radiative Properties. Journal of the Atmospheric Sciences, pp. 1487-1493, August 1992. Minnis, P.; Harrison, E. F.; Stowe, L. L.; Gibson, G. G.; Denn, F. M.; Doelling, D. R., and Smith Jr., W. L.: Radiative Climate Forcing by the Mt. Pinatubo Eruption. Science, Vol. 259, pp. 1411-1415, March 5, 1993. Minnis, P.; Takano, Y., and Liou, K.-N.: Inference of Cirrus Cloud Properties Using Satellite-Observed Visible and Infrared Radiances, Part I: Parameterization of Radiance Fields. Journal of the Atmospheric Sciences, Vol. 50, pp. 1279-1304, May 1, 1993. Minnis, P.; Heck, P. W., and Young, D. F.: Inference of Cirrus Cloud Properties Using Satellite-Observed Visible and Infrared Radiances, Part II: Verification of Theoretical Cirrus Radiative Properties. Journal of the Atmospheric Sciences, Vol. 50, pp. 1305-1322, May 1, 1993. Wang, S.; Albrecht, B. A., and Minnis, P.: Regional Modeling of Marine Boundary Layer Clouds, Journal of Atmospheric Sciences, Vol. 50, pp. 4022-4043, October 1, 1993. Harrison, E. F.; Minnis, P.; Barkstrom, B. R., and Gibson, G. G.: Radiation Budget at the Top of the Atmosphere. Atlas of Satellite Observations Related to Global Change, Cambridge Univ. Press, Edited by R. J. Gurney, J. L. Foster, and C. L. Parkinson, pp.19-38, 1993. Baum, B. A.; R. F. Arduini; B. A. Wielicki; P. Minnis; and S.-C. Tsay: Multilevel Cloud Retrieval Using Multispectral HIRS and AVHRR Data: Nighttime Oceanic Analysis. Journal of Geophysical Research, Vol. 99, pp. 5499-5514, March 20, 1994. Cess, R. D., M. H. Zhang, P. Minnis, L. Corsetti, E. F. Dutton, B. W. Forgan, D. P. Garber, W. L. Gates, J. J. Hack, E. F. Harrison, X. Jing, J. T. Kiehl, C. N. Long, J.-J. Morcrette, G. L. Potter, V. Ramanathan, B. Subasilar, C. H. Whitlock, D. F. Young, and Y. Zhou: Absorption of Solar Radiation by Clouds: Observations Versus Models.Science, Vol. 267, pp. 496-499, January 27, 1995. Wang, P.-H., M. P. McCormick, P. Minnis, G. S. Kent, G. K. Yue, and K. M. Skeens: A Method for Estimating the Vertical Frequency of the SAGE II Opaque Cloud Frequency.Geophysical Research Letters, Vol. 22, pp. 243-246, February 1, 1995. Wang, P.-H., P. Minnis, and G. K. Yue: Extinction (1-mm) properties of high-altitude clouds from solar occultation measurements (1985-1990): Evidence of volcanic aerosol effect. Journal of Geophysical Research, Vol. 100, pp. 3181-3199, February 20, 1995. Minnis, P.; Smith, W. L., Jr.; Garber, D. P.; Ayers, J. K.; and Doelling, D. R.: Cloud Properties Derived From GOES-7 for the Spring 1994 ARM Intensive Observing Period Using Version 1.0.0 of the ARM Satellite Data Analysis Program. NASA RP 1366, August 1995, 59 pp. Martin, G. M.; D. W. Johnson; D. P. Rogers; P. R. Jonas; P. Minnis, and D. Hegg: Observations of the Interaction between Cumulus Clouds and Warm Stratocumulus Clouds in the Marine Boundary Layer during ASTEX. Journal of Atmospheric Sciences, Vol. 52, pp. 2902-2922, 15 August 1995. Mace, G. G., D. O’C. Starr, T. P. Ackerman, and P. Minnis: Examination of Coupling Between an Upper Tropospheric Cloud System and Synoptic-Scale Dynamics from Wind Profiler and Radiosonde Data. Journal of Atmospheric Sciences, Vol. 52, pp. 4094-4078, 1 December 1995. Hansen, J.; Sato, M.; Ruedy, R.; Lacis, A.; Asamoah, K.; Borenstein, S.; Brown, E.; Cairns, B.; Caliri, G.; Campbell, M.; Curran, B.; De Castro, S.; Druyan, L.; Fox, M.; Johnson, C.; Lerner, J.; McCormick, M. P.; Minnis, P.; Morrison, A.; Pandolfo, L.; Ramberran, I.; Zaucker, F.; Robinson, M.; Russell, P.; Shah, K.; Stone, P; Tegen, I.; Thomason, L.; Wilder, J.; Wilson, H.: A Pinatubo Climate Modeling Investigation. “The Effects of Mt. Pinatubo Eruption on the Atmosphere and Climate”, NATO ASI Series Vol. I 42, “Global Environment Change”, Springer-Verlag, Edited by G. Fiocco, D. Fua, and G. Visconti, pp. 233-272, 1996. Harrison, E. F.; Minnis, P.; Young, D. F.; Gibson, G. G.; Donaldson, J. L.; and Smith, O. C.: ERBE-Like Averaging to Monthly TOA (Subsystem 3). “Clouds and the Earth’s Radiant Energy System (CERES) Algorithm Theoretical Basis Document, Volume II: Geolocation, Calibration, and ERBE-Like Analyses (Subsystems 1-3)”, NASA RP 1376 Vol. 2, edited by CERES Science Team, December, 1995, pp. 85-119. Baum, B. A.; Welch, R. M.; Minnis, P.; Stowe, L. L.; Coakley, J. A., Jr.; Titlow, J.; Tovinkere, V.; Heck, P. W.; Trepte, Q.; Doelling, D. R.; Mayor, S.; Berendes, T.; Han, Q.; Christopher, S. A.; Kuo, K.-S.; Penaloza, M.; Logar, A.; and Davis, P.: Imager Clear-Sky Determination and Cloud Detection (Subsystem 4.1). “Clouds and the Earth’s Radiant Energy System (CERES) Algorithm Theoretical Basis Document, Volume III: Cloud Analyses and Radiance Inversions (Subsystem 4)”, NASA RP 1376 Vol. 3,edited by CERES Science Team, December, 1995, pp. 43-82. Baum, B. A.; Minnis, P.; Coakley, J. A., Jr.; Wielicki, B. A.; Menzel, P.; Titlow, J.; Tovinkere, V.; Heck, P. ; and Mayor, S.: Imager Cloud Height Determination (Subsystem 4.2). “Clouds and the Earth’s Radiant Energy System (CERES) Algorithm Theoretical Basis Document, Volume III: Cloud Analyses and Radiance Inversions (Subsystem 4)”, NASA RP 1376 Vol. 3, edited by CERES Science Team, December, 1995, pp. 83-134. Minnis, P.; Kratz, D. P.; Coakley, J. A., Jr.; King, M. D.; Garber, D.; Heck, P.; Mayor, S.; Young, D. F. and Arduini, R.: Cloud Optical Property Retrieval (Subsystem 4.3). “Clouds and the Earth’s Radiant Energy System (CERES) Algorithm Theoretical Basis Document, Volume III: Cloud Analyses and Radiance Inversions (Subsystem 4)”, NASA RP 1376 Vol. 3,edited by CERES Science Team, December, 1995, pp. 135-176. Young, D. F.; Harrison, E. F.; Wielicki, B. A.; Minnis, P.; Gibson, G. G.; Barkstrom, B. R.; Charlock, T. P.; Doelling, D. R.; Miller, A. J.; Smith, O. C.; and Stassi, J. C.: Time Interpolation and Synoptic Flux Computation for Single and Multiple Satellites (Subsytem 7.0). “Clouds and the Earth’s Radiant Energy System (CERES) Algorithm Theoretical Basis Document, Volume IV: Determination of Surface and Atmosphere Fluxes and Temporally and Spatially Averaged Products (Subsystems 5-12)”, NASA RP 1376 Vol. 4, edited by CERES Science Team, December, 1995, pp. 69-108. Harrison, E. F.; Young, D. F.; Minnis, P; Gibson, G. G.; Cess, R. D.; Ramanathan, V.; Murray, T. D.; and Travers, D. J.: Monthly Regional TOA and Surface Radiation Budget (Subsystem 10.0). “Clouds and the Earth’s Radiant Energy System (CERES) Algorithm Theoretical Basis Document, Volume IV: Determination of Surface and Atmosphere Fluxes and Temporally and Spatially Averaged Products (Subsystems 5-12)”, NASA RP 1376 Vol. 4, edited by CERES Science Team, December, 1995, pp. 139-156. Randall, D.; Albrecht, B.; Cox, S.; Johnson, D.; Minnis, P.; Rossow, W.; and Starr, D.: On FIRE at Ten. Advances in Geophysics, Vol. 38, pp. 37-177, 1996. Toon, B.; Anderson, B.; Minnis, P.; Ackerman, T.; Jacob, D.; Miake-Lye, R.; Schwartz, S.; Tolbert, M.; Turco, R.; Starr, D.; Wiscombe, W.; and Laero, F.: Observations-Subsonic Aircraft: Contrail and Cloud Effects Special Study (SUCCESS) Workshop and White Paper Excerpts.NASA RP 1385, edited by A. M. Thompson, R. R. Friedl, and H. L. Wesoky, May, 1996, pp. 175-199. Wang, P.-H.; Minnis, P.; McCormick, M. P.; Kent, G. S.; and Skeens, K. M.: A 6-Year Climatology of Cloud Occurrence Frequency From SAGE II Observations (1985-1990).Journal of Geophysical Research, Vol. 101, pp. 29,407-29,429, December 27, 1996. Westphal, D. L.; Kinne, S.; Alvarez, J. M.; Benjamin, S. G.; Eberhard, W. L.; Heymsfield, A. J.; Kropfli, R. A.; Mace, G. G.; Matrosov, S. Y.; Melfi, S. H.; Minnis, P.; Pilewskie, P.; Snider, J. B.; Soden, B. J.; Starr, D. O’C. ; Uttal, T.; and Young, D. F.: Initialization and Validation of a Simulation of Cirrus Using FIRE-II Data.Journal of the Atmospheric Sciences, Vol. 53, No. 23, 1996, pp.3397-3429. Minnis, P.; Mayor, S.; Smith, W. L., Jr.: and Young, D. F., 1997: Asymmetry in the Diurnal Variation of Surface Albedo.IEEE Transactions on Geoscience and Remote Sensing, 35, 879-891. Minnis, P.; Ayers, J. K.; and Weaver, S. P.: Surface-Based Observations of Contrail Occurrence Frequency Over the U.S., April 1993 – April 1994.NASA Reference Publication 1404, December, 81 pp., 1997. Hansen, J.; Sato, M.; Ruedy, R.; Lacis, A.; Asamoah, K.; Beckford, K.; Borenstein, S.; Brown, E.; Cairns, B.; Carlson, B.; Curran, B.; de Castro, S.; Druyan, L.; Etwarro, P.; Ferede, T.; Fox, M.; Gaffen, D.; Glascoe, J.; Gordon, H.; Hollandsworth, S.; Jiang, X.; Johnson, C.; Lawrence, N.; Lean, J.; Lerner, J.; Lo, K.; Logan, J.; Luckett, A.; McCormick, M. P.; McPeters, R.; Miller, R.; Minnis, P.; Ramberran, I.; Russell, G.; Russell, P.; Stone, P; Tegen, I.; Thomas, S.; Thomason, L.; Thompson, A.; Wilder, J.; Willson, R.; and Zawodny, J.: Forcings and Chaos in Interannual to Decadal Climate Change.Journal of Geophysical Research., 102, November 27, 1997, pp. 25,679-25,720. Lin, B.; Wileicki, B. A., Minnis, P.; and Rossow, W. B.: Estimation of Water Cloud Properties from Satellite Microwave and Optical Measurements in Oceanic Environments. I: Microwave Brightness Temperature Simulations. Journal of Geophysical Research, 103, February 27, 1998, pp. 3873-3886. Lin, B.; Minnis, P., Wielicki, B. A.; Doelling, D. R.; Palikonda, R.; Young, D. F., and Uttal, T.: Estimation of Water Cloud Properties from Satellite Microwave and Optical Measurements in Oceanic Environments. II: Results.Journal of Geophysical Research, 103, February 27, 1998, pp. 3887-3905. Minnis, P. and Smith, W. L., Jr.: Cloud and Radiative Fields Derived from GOES-8 During SUCCESS and the ARM-UAV Spring 1996 Flight Series. Geophys. Res. Ltrs., 25, April 15, 1998, pp.1113-1116. Minnis, P.; Young, D. F.; Nguyen, L.; Garber, D. P.; Smith, W. L., Jr.; and Palikonda, R., 1998: Transformation of Contrails Into Cirrus Durring SUCCESS.Geophys. Res. Ltrs., 25, April 15, 1998, pp.1157-1160. Young, D. F.; Minnis, P.; Baumgardner, D.; and Gerber, H.: Comparison of In Situ and Satellite-Derived Cloud Properties During SUCCESS.Geophys. Res. Ltrs., 25, April 15, 1998, pp.1125-1128. Wang, P.; Minnis, P.; McCormick, M. P.; Kent, G. S.; Yue, G. K.; Young, D. F.; and Skeens, K. M.: A Study of the Vertical Structure of Tropical (20°S – 20°N) Optically Thin Clouds from SAGE II Observations. Atmospheric Research, 47-48, 1998, pp. 599-614. Young, D. F.; Minnis, P.; Gibson, G. G.; Doelling, D. R.; and Wong, T., 1998:Temporal Interpolation Methods for the Clouds and Earth’s Radiant Energy System (CERES) Experiment. J. Appl. Meteorol. , Vol. 37, 572-590. Wielicki, B. A., Barkstrom, B. R., Baum, B. A., Charlock, T. P., Green, R. N., Kratz, D. P., Lee, R. B., Minnis, P.,Smith, G. L., Young, D. F., and the CERES Science Team, Clouds and the Earth’s Radiant Energy System (CERES): Algorithm Overview. IEEE Transactions on Geoscience and Remote Sensing, 36, July 1998, pp. 1127-1141. Mace, G. G.; Ackerman, T. P.; Minnis, P.; and Young, D. F.: Cirrus Layer Microphysical Properties Derived From Surface-Based Millimeter Radar and Infrared Interferometer Data. J. Geophys. Res., Vol. 103, 23,207-23216, 1998. Minnis, P.; Garber, D. P.; Young, D. F.; Arduini, R. F.; and Takano, Y.: Parameterization of Reflectance and Effective Emittance for Satellite Remote Sensing of Cloud Properties. Journal of Atmospheric Sciences, Vol. 55, 3313-3339, 1998. Rinsland, C. P.; Gunson, M. R.; Wang, P.; Arduini, R. F.; Baum, B. A.; Minnis, P.; Goldman, A.; Abrams, M. C.; Zander, R.; Mahieu;, Salawitch, R. J.; Michelsen, H. A.; Irion, F. W.; and Newchurch, M. J.: ATMOS/ATLAS 3 Infrared Profile Measurments of Trace Gases in the Tropical Upper Troposphere: Cirrus Microphysical Properties and Trace Gas Enhancements from Rapid, Deep Convective Transport. J. Quant. Spectros. Rad. Transfer, Vol. 60, 903-919, 1998. Rinsland, C. P.; Gunson, M. R.; Wang, P.; Arduini, R. F.; Baum, B. A.; Minnis, P.; Goldman, A.; Abrams, M. C.; Zander, R.; Mahieu;, Salawitch, R. J.; Michelsen, H. A.; Irion, F. W.; and Newchurch, M. J.: ATMOS/ATLAS 3 Infrared Profile Measurments of Clouds in the Tropical Upper Troposphere: Cirrus Microphysical Properties and Trace Gas Enhancements from Rapid, Deep Convective Transport. J. Quant. Spectros. Rad. Transfer, Vol. 60, 891-901, 1998. Jensen, E. J.; Ackerman, A. S.; Stevens, D. E.; Toon, O. B.; and Minnis, P., 1998: Spreading and growth of contrails in a sheared environment. J. Geophys. Res., Vol. 103, pp 31, 557-587, 1998. Fahey, D. W., U. Schumann, S. Akerman, P. Artaxo, O. Boucher, M. Y. Danilin, B. Karcher, P. Minnis, T. Nakajima, and O. B. Toon, 1999: Aviation Produced Aerosols and Cloudiness, Chapter 3 of IPCC Special Report: Aviation and the Global Atmosphere., Cambridge University Press, 65-120. Minnis, P.; U. Schumann, D. R. Doelling, K. M. Gierens, and D. W. Fahey, 1999: Global Distribution of Contrail Radiative Forcing,Geophys. Res. Ltrs., Vol. 26, 1853-1856. Meerkötter, R.; Schumann, U.; Doelling, D. R.; Minnis, P.; Nakajima, T.; and Tsushima, Y., 1999: Radiative Forcing by Contrails, Annales Geophysicae, Vol. 17, 1070-1084. Curry, J. A.; Hobbs, P.; King, M. D.; Randall, D. A.; Minnis, P.; Uttal, T.; Isaac, G. A.; Pinto, J. O. et al, 2000: FIRE Arctic Clouds Experiment. Bulletin of the American Meteorological Society, 81, 5-29. Dong, X., P. Minnis, T. P. Ackerman, E. E. Clothiaux, G. G. Mace, R. N. Long, and J. C. Liljegren, 2000: A 25-month Database of Stratus Cloud Properties Generated from Ground-Based Measurements at the ARM SGP Site. J. Geophys. Res., 105, 4529-4537. Valero, F. P. J., P. Minnis, S. K. Pope, A. Bucholtz, B. C. Bush, D. R. Doelling, W. L. Smith, Jr., and X. Dong, 2000: The absorption of solar radiation by the atmosphere as determined using consistent satellite, aircraft, and surface data during the ARM Enhanced Short-Wave Experiment (ARESE). J. Geophys. Res., 105, 4743-4758. Minnis, P. and M. M. Khaiyer, 2000: Anisotropy of Land Surface Skin Temperature Derived from Satellite Data. J. Appl. Meteorol., 39, 1117-1129. Lin, B. and P. Minnis, 2000: Temporal variations of land surface microwave emissivities over the ARM Southern Great Plains Site. J. Appl. Meteorol., 39, 1103-1116. Stephens, G. L., R.G. Ellingson, J. Vitko Jr, W. Bolton, T.P. Tooman, F.P.J. Valero, P..Minnis, P. Pilewskie, G.S. Phipps, S. Sekelsy, J.R. Carswell, S.D. Miller, A. Benedetti, R.B. McCoy, R.F. McCoy, Jr, A. Lederbuhr, and R. Bambha, 2000: The Department of Energy’s Atmospheric Radiation Measurement (ARM) Unmanned Aerospace Vehicle (UAV) Program, Bull. Am. Meteor. Soc., 81, 2915-2937. Nordeen, M. L., P. Minnis, D. R. Doelling, D. Pethick, and L. Nguyen, 2001: Satellite observations of cloud plumes generated by Nauru, Geophys. Res. Lett., 28, 631-634. Lin, B., P. Minnis, A. Fan, J. A. Curry, and H. Gerber, 2001: Comparison of cloud liquid water paths derived from in situ and microwave radiometer data taken during the SHEBA/FIREACE. Geophys. Res. Lett., 28, 975-978. Duda, D. P., P. Minnis, and L. Nguyen, 2001: Estimates of cloud radiative forcing in contrail clusters using GOES imagery. J. Geophys. Res., 106, 4927-4937. Minnis, P., V. Chakrapani, D. R. Doelling, L. Nguyen, R. Palikonda, D. A. Spangenberg, T. Uttal, R. F. Arduini, and M. Shupe, 2001: Cloud coverage during FIRE ACE derived from AVHRR Data. J. Geophys. Res., 106, 15,215-15,233. Doelling, D. R., P. Minnis, D. A. Spangenberg, V. Chakrapani, A. Mahesh, S. K. Pope, and F. P. J. Valero, 2001: Cloud Radiative Forcing During FIRE ACE Derived from AVHRR Data. J. Geophys. Res., 106, 15,279-15,296. Dong, X., G. G. Mace, P. Minnis, and D. F. Young, 2001: Arctic stratus cloud properties and their impact on the surface radiation budget; Selected cases from FIRE ACE. J. Geophys. Res., 106, 15,297-15,312. Wang, P.-H., R. E. Viega, L. B. Vann, P. Minnis, and G. S. Kent, 2001:i A further study of the method for estimation of SAGE II cloud occurrence. J. Geophys. Res. 106, 12,603-12613. Garreaud, R. D., J. Rutllant, J. Quintana, J. Carrasco, and P. Minnis, 2001: CIMAR-5: A snapshot of the lower troposphere over the subtropical southeast Pacific. Bull. Amer. Meteorol. Soc., 92, 2193-2208. Minnis, P., 2002: Satellite Remote Sensing of Cirrus, Chapter 7 in Cirrus, Oxford University Press, David K. Lynch, K. Sassen, D. O’C. Starr, and G. Stephens, Editors, pp. 147-167. Lynch, D. K., K. Sassen, A. Del Genio, A. Heymsfield, P. Minnis, M. Platt, M. Quante, U. Schumann, and H. Sundqvist, 2002: Cirrus: The Future. Chapter 21 in Cirrus, Oxford University Press, David K. Lynch, K. Sassen, D. O’C. Starr, and G. Stephens, Editors, pp. 449-455. Pope, S. K., F. P. J. Valero, W. D. Collins, and P. Minnis, 2001: Comparison of SCARAB, GOES-8, aircraft, and surface observations of the absorption of solar radiation by clouds. J. Geophys. Res., 107 (D11), 10.1029/20001JD000672. Wang, P.-H., P. Minnis, B. A. Wielicki, T. Wong, and L. B. Vann, 2002: Satellite observation of long-term changes in tropical cloud and outgoing longwave radiation from 1985 to 1998. Geophys. Res. Lett., 29, 37-1 – 37-4, 10.1029/2001GL04264. Minnis, P., L. Nguyen, D. R. Doelling, D. F. Young, W. F. Miller, and D. P. Kratz, 2002: Rapid calibration of operational and research meteorological satellite imagers, Part I: Evaluation of research satellite visible channels as references. J. Atmos. Oceanic Technol., 19, 1233-1249. Minnis, P., L. Nguyen, D. R. Doelling, D. F. Young, W. F. Miller, and D. P. Kratz, 2002: Rapid calibration of operational and research meteorological satellite imagers, Part II: Comparison of infrared channels. J. Atmos. Oceanic Technol., 19, 1250-1266. Dong, X., P. Minnis, G. G. Mace, W. L. Smith, Jr., M. Poellot, R. T. Marchand, and A. D. Rapp, 2002: Comparison of stratus cloud properties deduced from surface, GOES, and aircraft data during the March 2000 ARM Cloud IOP. J. Atmos. Sci., 59, 3256-3284. Chepfer, H., P. Minnis, D. F. Young, L. Nguyen, and R. F. Arduini, 2002: Estimation of cirrus cloud effective ice crystal shapes using visible reflectances from dual-satellite measurements. J. Geophys. Res., 107 (D23), 10.1029/2000JD000240. Minnis, P., 2002: Contrails. Encyclopedia of Atmospheric Sciences, Academic Press, London, J. Holton, J. Pyle, and J. Curry, Editors, pp. 509-520. Wang, P., P. Minnis, B. A. Wielicki, T. Wong, R. D. Cess, M. Zhang, L. B. Vann, and G. S. Kent, 2003: Characteristics of the 1997/98 El Nino cloud distributions from SAGE II observations. J. Geophys. Res., 108 (D1), 10.1029/2002JD002501. Loeb, N. G., N. Manalo-Smith, S. Kato, W. F. Miller, S. Gupta, P. Minnis, and B. A. Wielicki, 2003: Angular distribution models for top-of-atmosphere radiative flux estimation from the Clouds and the Earths Radiant Energy System instrument on the Tropical Rainfall Measuring Mission satellite. Part I: Methodology. J. Appl. Meteorol., 42, 240-265. Ho, S.-P., B. Lin, P. Minnis, and T.-F. Fan, 2003: Estimation of cloud vertical structure and water amount over tropical oceans using VIRS and TMI data. J. Geophys. Res., 108 (D14), 4419, 10.1029/2002JD003298, 25 July 2003. Minnis, P., J. K. Ayers, M. L. Nordeen, and S. P. Weaver, 2003: Contrail frequency over the United States from surface observations. J. Climate, 16, 3447-3462. Lin, B., P. Minnis, and A. Fan, 2003: Cloud liquid water path variations with temperature observed during the Surface Heat Budget of the Arctic Ocean (SHEBA) experiment. J. Geophys. Res., 108, 0.1029/2002JD002851. Minnis, P., J. K. Ayers, R. Palikonda, and D. N. Phan, 2004: Contrails, cirrus trends, and climate. J. Climate, 17, 1671-1685. Duda, D. P., P. Minnis, L. Nguyen, and R. Palikonda, 2004: A case study of the development of contrail clusters over the Great Lakes. J. Atmos. Sci., 61, 1132-1146. Minnis, P., A. V. Gambheer, and D. R. Doelling, 2004: Azimuthal anisotropy of longwave and infrared window radiances from CERES TRMM and Terra data. J. Geophys. Res., 109, D08202,doi:10.1029/2003JD004471. Smith, G. L., B. A. Wielicki, B. R. Barkstrom, R. B. Lee, K. J. Priestley, T. P. Charlock, P. Minnis, D. P. Kratz, and N. Loeb, 2004: Clouds and Earth Radiant Energy System (CERES): An overview. Adv. Space Res., 33, 1125-1131. Sherwood, S. C., J.-H. Chae, P. Minnis, and M. McGill, 2004: Underestimation of deep convective cloud tops by thermal imagery. Geophys. Res. Lett., 31 (11), 10.1029/2004GL019699. Min, Q, P. Minnis, and M. M. Khaiyer, 2004: Comparison of cirrus optical depths from GOES-8 and surface measurements. J. Geophys. Res., 109, No. D15, D15207 10.1029/2003JD004390, August 12. Sherwood, S. C., P. Minnis, and M. McGill, 2004: Deep convective cloud top heights and their thermodynamic control during CRYSTAL-FACE. J. Geophys. Res., 109, No. D15, D15207, 10.1029/2004JD004811. Mace, G. G., Y. Zhang, S. Platnick, M. D. King, P. Minnis, and P. Yang, 2005: Evaluation of cirrus cloud properties from MODIS radiances using cloud properties derived from ground-based data collected at the ARM SGP site. J. Appl. Meteorol., 44,221-240. Pyatt, B. A. Albrecht, C. Fairall, J. E. Hare, N. Bond, P. Minnis, and J. K. Ayers, 2005: Evolution of marine boundary layer structure across the cold tongue ITCZ complex. J. Climate., 15, 737-753. Huang, J., P. Minnis, B. Lin, Y. Yi, M. M. Khaiyer, R. F. Arduini, and G. G. Mace, 2005: Advanced retrievals of multilayered cloud properties using multi-sensor and multi-spectral measurements. J. Geophys. Res., 110,D15S18. Wielicki, B. A., T. Wong, N. Loeb, P. Minnis, K. Priestley, and R. Kandel, 2005: Changes in Earths albedo measured by satellites. Science, 308, 825. Zhang, M. H., W. Y. Lin, S. A. Klein, J. T. Bacmeister, S. Bony, R. T. Cederwall, A. D. Del Genio, J. J. Hack, N. G. Loeb, U. Lohmann, P. Minnis, I. Musat, R. Pincus, P. Stier, M. J. Suarez, M. J. Webb, J. B. Wu, S. C. Xie, M. -S. Yao, and J. H. Zhang, 2005: Comparing clouds and their seasonal variations in 10 atmospheric general circulation model with satellite measurements. J. Geophys. Res., 110,10.1029/2004JD005021. Ignatov, A., P. Minnis, N. Loeb, B. Wielicki, W. Miller, S. Sun-Mack, D. Tanre, L. Remer, I. Laszlo, and E. Geier, 2004: Two MODIS aerosol products over ocean on the Terra and Aqua CERES SSF datasets. J. Atmos Sci.,62, 1008-1031. Dong, X., P. Minnis, and B. Xi, 2005: A climatology of midlatitude continental clouds from the ARM SGP Central Facility: Part I: Low-level cloud macrophysical, microphysical and radiative properties. J. Climate, 18, 1391-1410. Minnis, P., 2005: Response to comment on Contrails, Cirrus Trends, and Climate. J. Climate, 18, 2783-2784. Garrett, T. J., B. C. Navarro, C. H. Twohy, E. J. Jensen, D. G. Baumgardner, P. T. Bui, H. Gerber, R. L. Hermann, A. J. Heymsfield, P. Lawson, P. Minnis, L. Nguyen, M. Poellot, S. K. Pope, F. P. J. Valero, and E. M. Weinstock, 2005: Evolution of a Florida cirrus anvil. J. Atmos. Sci. 62, 2352-2372. Chepfer, H., V. Noel, P. Minnis, D. Baumgardner, L. Nguyen, G. Raga, M. J. McGill, and P. Yang, 2005: Particle habit in tropical ice clouds during CRYSTAL-FACE: Comparison of two remote sensing techniques with in situ observations. J. Geophys. Res., 110, D16204, 10.1029/2004JD005455. Zhao, T. X.-P., I. Laslo, P. Minnis, and L. Remer, 2005: Comparison and analysis of two aerosol retrievals over the ocean in Terra/CERES-MODIS Single Scanner Footprint (SSF) data: Part I – Global evaluation .J. Geophys. Res., 110, D21, D21209, 10.1029/2005JD005851. Zhao, T. X.-P., I. Laslo, P. Minnis, and L. Remer, 2005: Comparison and analysis of two aerosol retrievals over the ocean in Terra/CERES-MODIS Single Scanner Footprint (SSF) data: Part II – Regional evaluation. J. Geophys. Res., 110, D21, D21209, doi:10.1029/2005JD005852. Minnis, P., Y. Yi, J. Huang, and J. K. Ayers, 2005: Relationships between radiosonde and RUC-2 meteorological conditions and cloud occurrence determined from ARM data. J. Geophys. Res., 110, D23204, doi:10.1029/2005JD006005. Sharon, T. M., B. A. Albrecht, H. H. Johnson, P. Minnis, M. M. Khaiyer, T. M. Van Reken, J. Seinfeld, and R. Flagan, 2006: Aerosol and cloud microphysical characteristics of rifts and gradients in maritime stratocumulus clouds. J. Atmos. Sci. 63 , 983-997. Dong, X., B. Xi, P. Minnis, and C. N. Long, 2006: A climatology of midlatitude continental clouds from the ARM SGP Central Facility: Part II: Cloud fraction and radiative forcing. J. Climate, 19, 1765-1783. Huang, J., P. Minnis, B. Lin, T. Wang, Y. Yi, Y. Hu, S. Sun-Mack, and K. Ayers, 2006: Possible influences of Asian dust aerosols on cloud properties and radiative forcing observed from MODIS and CERES. Geophys. Res. Lett., 33, L06824, doi:10.1029/2005GL024724. Mace, G. G., S. Benson, K. L. Sonntag, S. Kato, Q. Min, P. Minnis, C. H. Twohy, M. Poellot, X. Dong, C. Long, Q. Zhang, and D. R. Doelling, 2006: Cloud radiative forcing at the ARM climate research facility: Part I. Technique, validation, and comparison to satellite-derived quantities. J. Geophys. Res., 111, 10.1029/2005JD005921. 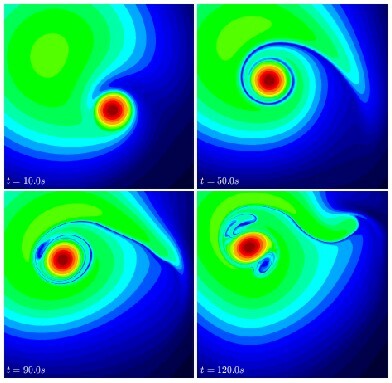 Garrett, T. J., J. Dean-Day, C. Liu, B. K. Barnett, G. G. Mace, D. G. Baumgardner, C. R. Webster, T. P. Bui, W. G. Read, and P. Minnis, 2006: Convective formation of pileus near the tropopause. Atmos. Chem., & Phys., 6, 1185-1200. Ignatov, A., P. Minnis, W. Miller, B. Wielicki, and L. Remer, 2006: Consistency of global MODIS aerosol optical depths over ocean on Terra and Aqua CERES SSF datasets. J. Geophys. Res., 111, D14202, doi:10.1029/2005JD006645. Kato, S., N. G. Loeb, P. Minnis, J. A. Francis, T. P. Charlock, D. Rutan, E. E. Clouthiaux, and S. Sun-Mack, 2006: Seasonal and interannual variations of top-of-atmosphere irradiance and cloud cover over polar regions derived from the CERES data set. Geophys. Res. Lett., 33, L19804, 10.1029/2006GL026685. Huang, J., B. Lin, P. Minnis, T. Wang, X. Wang, Y. Hu, , Y. Yi, and J. K. Ayers, 2006: Satellite-based assessment of possible dust aerosols semi-direct effect on cloud water path over east Asia. Geophys. Res. Lett., 33, L19802, 10.1029/2006GL026561. Huang, J., P. Minnis, B. Lin, Y. Yi, T.-F. Fan, S. Sun-Mack, and J. K. Ayers, 2006: Determination of ice water path in ice-over-water cloud systems using combined MODIS and AMSR-E measurements .Geophys. Res. Lett., 33, L21801, 10.1029/2006GL027038. Dong, X., B. Xi, and P. Minnis, 2006: Observational evidence of changes in water vapor, clouds, and radiation at the ARM SGP site. Geophys. Res. Lett., 33, L19818, 10.1029/2006GL027132. Lin, B., B. A. Wielicki, P. Minnis, L. Chambers, K. Xu, Y. Hu, and A. 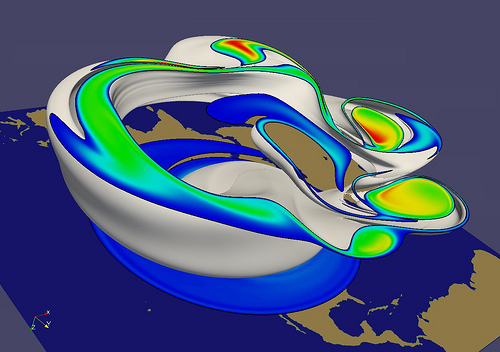 Fan, 2006: The effect of environmental conditions on tropical deep convective systems observed from the TRMM satellite. J. Climate, 19, 5745-5761. Chiriaco, M., H. Chepfer, P. Minnis, M. Haeffelin, S. Platnick, D. Baumgardner, P. Dubuisson, M. McGill, V. Noel, J. Pelon, D. Spangenberg, S. Sun-Mack, and G. Wind, 2006: Comparison of CALIPSO-like, LaRC, and MODIS retrievals of ice cloud properties over SIRTA in France and Florida during CRYSTAL-FACE. In press, J. Appl. Meteorol. Climatol., 43, . Chepfer, H., P. Minnis, P. Dubuisson, M. Chiriaco, S. Sun-Mack, and E. D. Riviere, 2007: Nitric acid particles in cold thick ice clouds observed at global scale: Link with lightning, temperature, and upper tropospheric water vapor. J. Geophys. Res., 112, 10.1029/2005JD006602. Verlinde, H., J. Y. Harrington, G. M. McFarquhar, V. T. Yannuzzi, A. Avramov, S. Greenberg, N. Johnson, G. Zhang, M. R. Poellot, J. H. Mather, D. D. Turner, E. W. Eloranta, B. D. Zak, A. J. Prenni, J. S. Daniel, G. L. Kok, D. C. Tobin, R. Holz, K. Sassen, D. Spangenberg, P. Minnis, T. P. Tooman, M. D. Ivey, S. J. Richarson, C. P. Bahrmann, P. J. DeMott, A. J. Heymsfield, and R. Scholfield, 2007: The Mixed-Phase Arctic Cloud Experiment (M-PACE). Bull. Am. Meteorol. Soc., 88, 205-221. Minnis, P., J. Huang, B. Lin, Y. Yi, R. F. Arduini, T.-F. Fan, J. K. Ayers, and G. G. Mace, 2007: Ice cloud properties in ice-over-water cloud systems using Tropical Rainfall Measuring Mission (TRMM) visible and infrared scanner and TRMM Microwave imager data. J. Geophys. Res., 112, D06206, doi:10.1029/2006JD007626. Comstock, J. M., R. dEntremont, D. DeSlover, G. G. Mace, S. Y. Matrosov, S. A. McFarlane, P. Minnis, D. Mitchell, K. Sassen, M. D. Shupe, D. D. Turner, and Z. Wang, 2007: An intercomparison of microphysical retrieval algorithms for upper tropospheric ice clouds. Bull. Am. Meteorol. Soc., 88, 191-204. Turner, D. D., A. M. Vogelmann, R. Austin, J. C. Barnerd, K. Cady-Pereira, C. Chiu, S. A. Clough, C. Flynn, M. M. Khaiyer, J. Liljegren, K. Johnson, B. Lin, C. Long, A. Marshak, S. Y. Matrosov, S. McFarlane, M. Miller, Q. Min, P. Minnis, W. OHirok, Z. Wang, and W. Wiscombe, 2007: Optically thin liquid water clouds: Their importance and our challenge. Bull. Am.Meteorol. Soc., 88, 177-190. Mecikalski, J. R., W. F. Feltz, J. J. Murray, D. B. Johnson, K. M. Bedka, S. M. Bedka, A. J. Wimmers, M. Pavlonis, T. A. Berendes, J. Haggerty, P. Minnis, B. Bernstein, and E., Williams, 2007: Aviation Applications for satellite-based observations of cloud properties, convection initiation, in-flight icing, turbulence and volcanic ash. In press, Bull. Amer. Meteor. Soc. Minnis, P., 2007: Contrails. Our Changing Planet: A View from Space, Cambridge Publishing, London, UK, R. Williams and K. Partington, Eds., in press. Spangenberg, D. A., P. Minnis, M. D. Shupe, M. R. Poellot, and Z. Wang, 2007: Mixed-phase cloud detection over the Atmospheric Radiation Measurmeent North Slope of Alaska site from MODIS 6.7 – 12.0 µm data. Submitted to J. Atmos. 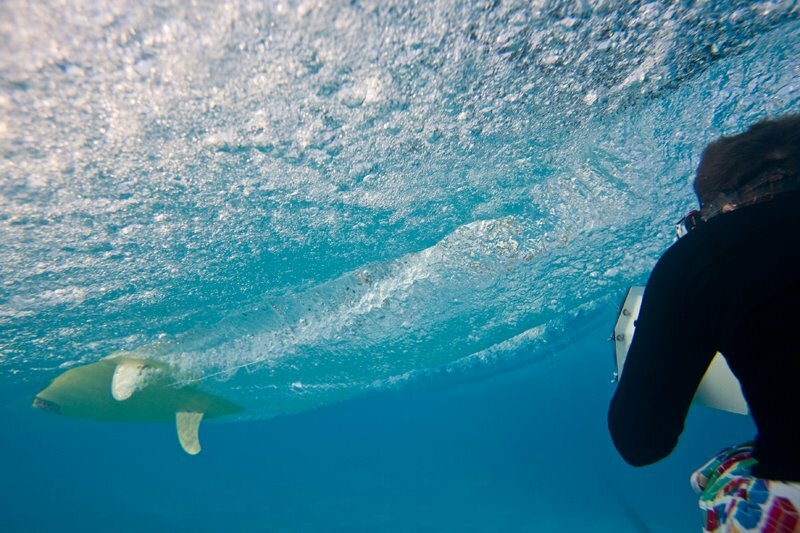 Oceanic Technol. Huang, J., P. Minnis, Y. Yi, Y. Hu, Q. Tang, X. Wang, Z. Lin, K. Ayers, C. Trepte, and D. Winker, 2007: Summer dust aerosols detected from the CALIPSO satellite over the Tibetan Plateau. Geophys. Res. Lett., 34, L18805, doi:10.1029/2007GL029938. Wang, H., R.T. Pinker, P. Minnis, and M.M. Khaiyer, 2007: Experiments with cloud properties: Impact on surface radiative fluxes. Accepted, J. Atmos Oceanic Technol. Dong, X., P. Minnis, B. Xi, S. Sun-Mack, and Y. Chen, 2008: Comparison of CERES-MODIS stratus cloud properties with ground-based measurements at the DOE ARM Southern Great Plains site. In press, J. Geophys. Res., 10.1029/2007JD008438. Pfffff – only one hundred and fifty three science papers, eh, working with hundreds of brilliant qualified researchers, using the finest equipment in the world… what could HE possibly know? What a fly-by-night! The “margin of error” the debunkers seem to want to lend to reality, to back their contentions, appears even larger and more encompassing than the actual situation. Characteristic of other forms that the pedagogic patronizing of the debunkers can take is in the typically flippantly entitled entry “fun With Math”. There, a “correspondent”, who takes the name BEE, puts up the pose of “proving” that “there is simply no way physically for anything sprayed at the height at which contrails (or supposed chemtrails) are observed to reach any kind of concentration on the ground which would have any effect on people whatsoever”. He begins by considering a “worst case scenario” of a jet hovering overhead, at various heights, dumping different amounts of material, with wind going at various speeds. Among other things, though, he assumes a “source rate” for the spraying of “63 billion micrograms per second”. This works out to 63,000 grams/second, or 140 lbs./second. That’s almost 8 tons per minute! If BEE is willing to be so unreliable in even this early part of the “explanation”, there is no reason to trust him in what he says later. His conclusions are no less questionable. 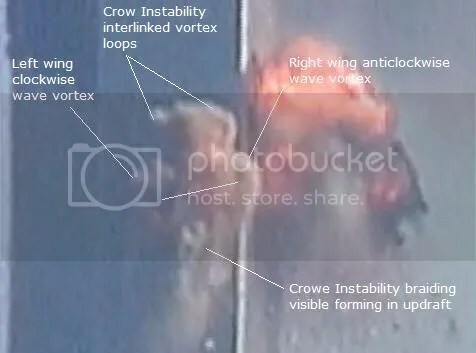 Proceeding from a supposed height, for the jet, of from 2 to 2000 meters above the ground, he reels off supposed “maximum concentrations” for the sprayed substance. He goes from 19.3 billion micrograms/cubic meter to .75 micrograms/cubic meter. The highest value is related to a situation for the plane 2 meters in the air, the lowest value, for one 2000 meters high. He evidently wants to “dramatically demonstrate” that the results from a “realistic” situation are very, very low. An eminent problem with that, however, is that, not only does BEE look at varying heights for the jet, for each jet, there is also a different distance downwind looked at. The jet 2 meters in the air has a “maximum concentration” 60 meters downwind quoted, a jet 100 meters high has a value at 15,000 meters downwind given, and for the jet at 2000 meters, the concentration at 3.5 billion meters, or 2.2 million miles, downwind! It is unlikely, if not completely impossible, that material would drift for 2.2 million miles over the earth, before coming to rest. What is more, for all the insistence, by BEE, that winds would dissipate chemtrail material, that has never been observed! They spread and combine with other chemtrails, but they have never been seen to be blown away by winds! Huh. They are laid in the stratosphere – you know, the place with jet streams of up to 150 mph. It is motionless extremely rarely! It is MADE UP of separate “winds”! In fact, it is their tendency to stay in one place, unchanged, except for spreading, for hours on end, which was one thing which brought them to the public’s attention. If the purpose of the chemtrails was to stay in one place and, at least, physically affect the environment, such as causing a drought, or even form clouds and then let rainwater wash it down to the soil, contaminating people that way, then they are, apparently, doing exactly what was desired of them. See above! Once more you whole case depends on making up a different “science” from that of scientists. But it is they who are qualified and experienced in this, not you. I think “people who hate ignorant liars” would be the way I would put it. they shape up as little more than that! – to “exonerate” chemtrails of things no one said they were doing. Yes. “Talking down” more physics you don’t understand, are you? does not prove that there aren’t substances which can affect, or even harm, people at concentrations of only about 1 microgram/cubic meter! Allergens work at very small concentrations, pathogens can be dangerous at those low levels, and various poisonous gases can be potent at even lower concentrations! And what allergens, pathogens, and poisonous gases are in these trails? Withholding important information can be as crucial as misrepresenting information, in promoting a fraudulent proposal! Bearing false witness is a cardinal sin which will put you straight to Hell. Add the fact that, on a day of regular chemtrailing, as many as 30 or more trails can be left in any affected area of sky, and there is a likelihood that huge amounts of dangerous material will be released. But the trails are ICE, and you haven’t proved otherwise! And even if they weren’t made of ice, I really do not think you understand how large the Earth is…. Your work here IS an exercise in sophistry. The only thing that has distinguished you so far from the average chemtrailer is your slightly better spelling, although “cumulous” is actually spelt “cumulus”, and an apostrophe is this ” ‘ ” (I removed yours!). the debunkers appear to rely on out and out fraud! Seeing as a characteristic of “chemtrailer” behavior IS fraud (and I can quote many examples of it), you’re now beginning to annoy me. A favored technique, for example, is saying that chemtrails are nothing more than normal contrails, then going through elaborate proofs that contrails are not unusual or dangerous and, because contrails are not unusual or dangerous – which, in truth, has not been proved! 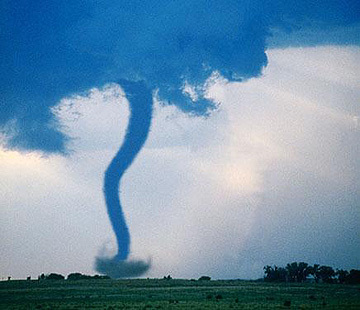 – then, what chemtrail observers complain about can’t be unusual or dangerous! Just about every chemtrail debunker site has at least one page devoted to “examining” and “explaining” contrails, then diffidently insisting that that’s all that chemtrails are – using even less proof than the chemtrail opposers use for their statements! – and “concluding” that, therefore, chemtrails do not exist, and chemtrail opposers are just chasing falsities. They are talking about established atmospheric science. Science is something that has been confirmed and tested by unknown others, so solidly that any predictions it is possible to make from the data prove to be correct as well. It is a pity that you cannot understand this. The facts of chemtrails, however, do not bear out debunkers’ insistences. I don’t wish to repeat the word “liar”, but draw your attention to the fact that you have yet to produce a fact. Among other things, the references to chemtrails began only around 1997. There are no references to unusual, persistent cloud trails before that date. Contrails didn’t suddenly start to become long-lived under certain circumstances only after 1997. And it unlikely that people will have suddenly started to become aware of something as obvious, and apparently pernicious, as vapor trails that persist for hours, then spread and coalesce into sun blocking cloud decks only in 1997. The very fact that no complaints of long, spreading contrails before 1997 is sufficient to establish that chemtrails must be real, and not normal contrails. What you say here is an out-and-out LIE. The first persistent contrail was recorded about 1922, they were photographed frequently during WW2, and feature in newspaper reports throughout the fifties, sixties, seventies and eighties. Hundreds of scientific papers have been written on them since the first in 1953. Tellingly, though, and apparently not coincidental at all, is the fact that, in October 1997, the system of reporting visibility date, from the National Climatic Data Center, was abruptly reduced from the then standard maximum of 40 miles, to only 10 miles. To reduce visibility information that way only endangers such things as aerial navigation! To do so peremptorily, in that manner, was utterly incompatible with any consideration of protecting the welfare of citizens. It was a consequence of improved radar, perhaps! What it does seem geared for, however – what seems more important than the interests of the public! – is keeping the government from having to acknowledge that there was something out there that long range data would need them to report! Something, too, that seems likely to be nothing less than a hindrance to long-range visibility, as well. There was something out there that the government didn’t want the people to know about. But the indications that chemtrails are real go beyond even that. And this evidence is – where? Debunkers, for example, could try to “argue” that, on days when chemtrails don’t appear, it’s because the weather conditions at the planes’ height don’t permit them. The planes are there, they would demand, but the peculiar conditions that turned innocent contrails into extended lines in the sky simply weren’t present. We’ve covered all this. It’s atmospheric physics. Just pick up a textbook! But, even at the height at which chemtrails are apparently laid, planes can be seen and heard slightly. Because they take a long time passing through the sky, that high up, they form a low rumble that can persist for many minutes. On the days when chemtrails do not appear, neither the bright specks that the planes appear as, nor the low rumble are heard. More than that, not even normal contrails – which should form under just about any condition! – are not present. When chemtrails do not form high in the sky, it is because the planes that form them are not up there. The forming of chemtrails, then, is related more to the presence of special planes high up that particular day, and not, evidently, certain conditions affecting planes that are, putatively, present every day. This is also atmospheric physics. The sound of the aircraft is refracted both by differing layer densities, headings and velocities. Under certain conditions it may not reach the ground. Planes not laying contrails at all (quite possible in relatively warm, dry air), are quite simply, not seen. A phenomenon that chemtrail followers also point to to indicate the suspicious nature of the trails is what is termed the “on and off switch”. Often, when chemtrails appear overhead, there will be a space in the trail, where what seems to be aerial spraying was turned off, for a time, then turned back on. This does not happen, ever, for conventional contrails. Planes forming the short tails of contrail fog behind them do not go through periods when the cloud will disappear; the clouds themselves, even though they last for a short time, do not show spaces in them. Debunkers,unsurprisingly, dismiss these claims, insisting that there is nothing in the breaks in chemtrails that indicate anything out of what they term the usual. You have already demonstrated that you cannot distinguish between the stratosphere and the troposphere. Were you able to, you would know that they are right and you are wrong. The stratosphere is invisibly layered with regions of different humidities. It is eminently unlikely, if not patently impossible, that air that high up would be so warm, to begin with. The jets that form chemtrails typically fly at at least three miles high. More like SEVEN. And the word is CONTRAILS. And the ambient temperature and water vapor pressure will be the determinants. Even if it was too warm, a trail, of sorts, of water vapor would be likely, following the jet. 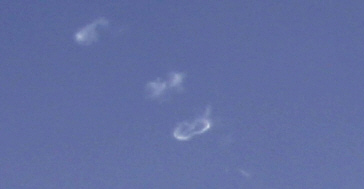 Water vapor is colorless and transparent, so you are correct, but you wouldn’t see it. 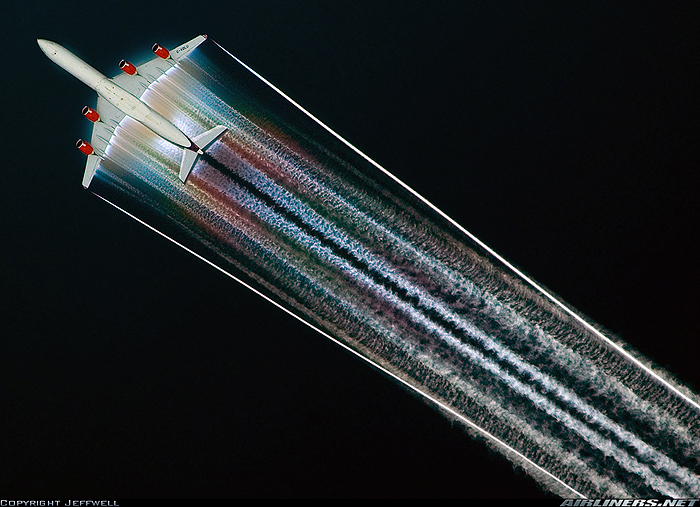 A trail of water (vapor) follows EVERY plane that has its engines on. And, even if the air were very dry, a trace of the ice crystals from the jet engines, that supposedly form the “seed” for the chemtrail, should be visible, and it is not. Very wrong. Any ice crystals formed in dry air sublime to water vapor in a fraction of a second. The exhaust temperature is 1100 deg C, so it always leaves the engine as steam – invisible until it cools. Anything at all, if finely-divided, will seed the condensation of water. And that is leaving aside, entirely, the fact that there is little reason to believe that an isolated, tiny, patch of air could be so radically different from the overwhelming mass of air around it! That is the NATURE of the stratosphere which YOU DO NOT UNDERSTAND. It is your ignorance that gives you little “reason to believe”! Understanding science requires NO “belief”. If an area of warm or dry air were to intrude, it is likely that it would be no time before the rest of the air around it would bring it into equilibrium. Wrong. The stratosphere is STABLE, and already in equilibrium. More than that, though, Mr. Ernst, will have to explain how it is possible for chemtrails with breaks, supposedly caused by differing air masses, to occur in close proximity to chemtrails with no breaks! See above. You have completely failed to comprehend the nature of the stratosphere. STRATUM is the Latin for “layer” – the stratosphere is layered, and because its stable layers don’t intermix they have different humidities. “I’ll leave it at that and let you be the judge”, he concludes archly. If he’s telling the absolute, incontrovertible truth, which he pretends to be, then he would be able to call it that! He wouldn’t have to leave it to the reader to “be the judge”. That in itself all but brands the material on the Seawana site utterly untrustworthy. Only to someone incapable of understanding the science. How is it possible to trust anyone speaking about science when they obviously don’t understand it? Mr. Ernst also takes issue with, among other things, the observation that “most chemtrails seem to be created at altitudes above commercial flights”, which can be taken to be an indication that chemtrails are not normal contrails, but the result of government flights. “That is because the probability of a contrail being produced at a higher altitude is much greater”, he retorts. “Next please”, he adds, smugly, evidently content that he has put any question of the formation of chemtrails to rest, firmly. But, if the chemtrails are being produced at altitudes higher than commercial jets use, as he himself seems willing to accede, what is leaving them? It is apparent, then, that it is only government planes laying the trails, and that is far from , makingsomething that discounts the likelihood of their being a government operation’. What height do passenger planes fly at? You suggest three miles! It’s six to seven miles! What height do the military fly at? You don’t know? …but I’ll give you a clue – it’s higher still! Will that be colder? – No! I have seen videos claiming the aircraft flying my mother to visit me was a “chemtrail sprayer”. So if it isn’t passenger planes, it’s the military. But it’s “worldwide”, and the military’s aviation bill doesn’t stretch that far… So, it’s local to you, and “military”. Moreover, how could Flight Explorer, which seems to record only commercial flights, attest to the flight plans of those jets causing the chemtrails? Among the site’s other demonstrations / antipathy for everything that exists. This paragraph is ad hom, and I’ll ignore it, except that if it’s antipathetic to you, I’d be in agreement with it. It fits the description “hoax” perfectly so far. Any evidence of “chemtrails”? No. The United States Air Force web page on the subject, http://www.af.mil/environment/contrails_chemtrail.shtml, for example, is entitled “The Chemtrail Hoax”. While it may be a purview of individuals to term something a “hoax” at will, a branch of the government is considered more bound by the law in its actions, so that, for them to term something a “hoax” is automatically to have it characterized according to the legal definition of the term. More than that, it indicates that sufficient examination has been carried out to back that characterization. It has. Fifty years and thousands of qualified man-hours of research in atmospheric physics indicate “chemtrails” to be a HOAX. Legally, a “hoax” is far more than just some kind of prank, gag or practical joke; it is a willful and malicious act of mayhem, usually for the aggrandizement of the “perpetrator”. EXACTLY SO. You are aggrandizing yourself ABOVE scientists, for a start. By titling their page that way, the Air Force, then, officially accuses all the honest, straightforward citizens genuinely concerned about at least the affront of their skies being clouded over, and sunlight all but banished from their lives, as malingerers and frauds. A common tactic of the guilty is to cast the first stone and blame the innocent, at least to try to buy enough time to shore up their defenses against justice. One day, you WILL probably have to defend yourself against justice, for you ARE causing harm right now. As with all other “debunkers”, the Air Force proceeds to declare that contrails can be caused to remain for very long periods, based on temperature and humidity. Like the other debunkers, they never once assert that the conditions that would allow contrails to persist – if at all – are conditions that are likely to, or even possibly can, occur on the earth, at the present! But they do, and I’ve covered that. There are HUNDREDS of papers about contrail formation readily available on the web, as I have already demonstrated. Unlike the other “debunkers”, the Air Force, on their site, don’t include barometric pressure in the “explanation”, an eminently glaring omission, utterly calling everything they say into question! No, it proves that you do not know what you are talking about. The vapor pressure of water is completely independent of atmospheric pressure. It’s a function of its temperature alone. Also unlike the other “debunkers”, the Air Force does claim that “winds” can affect the persistence of contrails. Too, and indicative of the fact that they may engage in the eminently questionable act of taking it on themselves to term suspicion of chemtrails a “hoax”, but they are still bound by considerations of justice and fairness, the Air Force, on their site, declare that contrails can be caused to last long periods of time because of “aircraft exhaust characteristics”. The nebulous reference is, apparently, meant to downplay the matter, but, technically, “aircraft exhaust characteristics” includes what is being pumped out. And it is precisely the contention of chemtrail opponents that high flying military jets are pumping unorthodox and irregular materials into the air. And so far there is no evidence of what you say. I have personally analyzed jet engine exhaust products and found them to exactly what they are claimed in the standard literature to be. In phraseology evidently intended to gull the unwitting into believing that normal characteristics of jet exhausts can, under the right circumstances, be made to last long periods of time, the Air Force, in actuality, seems to admit that unorthodox materials in their exhaust are what is forming chemtrails. They fill out their “disproof” of the existence of chemtrails with a list of links to “debunker” web sites that no longer exist, and one link to a site in Denmark that “demonstrates” the non-existence of chemtrails by showing pictures of chemtrails and calling them contrails! It is instructive that this practice of “proving” something doesn’t exist by simply calling it something else is taking place on a site operated by the Neils Böhr Institute. You really don’t understand what you are up against here. The Niels Bohr Institute is DIRECTLY RESPONSIBLE for the difference of our present world from the world of Queen Victoria. The understanding of the basis of our material existence sprang from this source. Atomic Theory, Relativity, Quantum Physics, Cosmology owe nearly EVERYTHING to this institute. If that is the level of “intellectual discourse” involved in “debunking” chemtrails, it is only further testimony to the truth of their existence. No it is not, and so far you’ve produced NOTHING that IS. You or the Neils Bohr Institute? Please! Self-aggrandizement or what! If that is the level of honesty involved in the movement against chemtrail opponents, it strengthens the evidence that they are, indeed, an act of craven contempt for the people. But contempt seems a given, both in the perpetrating of chemtrails, and in the apparent attempted cover-up. Indeed, it is apparently inherent, how spiteful and disdainful the sites devoted to debunking conspiracy theories regularly are to those who acknowledge their existence. If conspiracy theories really were untrue, those who subscribed to them would be deluding themselves. YES INDEED. And deluding others, and bearing false witness against yet others. They would be genuinely wasting their time. YES INDEED. And that of others. That is a tragedy, and would be approached as a tragedy, by those with genuine honor and the kind of concern and regard for others that would be consistent with telling them the truth. That was MY first approach, which was totally wasted. It was met by lies and slander directed at ME. It still is. The arrogance and disregard to be seen among the conspiracy theory debunkers is that to be found in those incapable of the truth, or of any display of honor or decency. Their very malignance proclaims their assertions utterly untrustworthy and specious. There is every reason to believe, indeed, that those who call themselves debunkers are, in fact, quisling shills for government, trying to keep the truth from the people. They willingly admit to being considered that by many conspiracy theory examiners, and just as quickly – and without proof – dismiss the accusation, but it seems very near the truth, if not the truth itself. And this demonstrated malevolence of character, more so than much else, pronounces conspiracy theories far from unreliable; indeed, anything but unproved, or disproved. And that includes chemtrails. The evidence is that, not only are chemtrails real, there seems to be a dedicated movement to try to dissuade those who acknowledge the existence of chemtrails from following up on the subject. I see, a fresh accusation, and STILL no evidence! In recent months, since our own sending in several letters on the subject, chemtrails in New Jersey have begun to take on a new form. Instead of stretching from one horizon to the other, chemtrails laid here have begun to take the form, only, of lines across part of the sky. It seems intended to give the impression that chemtrails do not really exist, since these go only partway across the sky. But this has only begun recently, so it cannot be a demonstration of something which existed before. But it seems related to the fact that we recently began sending letters to the editor from here on this subject. This is covered by my answer as to “chaotic natural processes”, and “self-aggrandizement”. In the end, the people must take it on themselves to see that their rights and interests are respected by government. They must involve themselves, deeply and determinedly, in government. It is up to them to see that it is their welfare that motivates government. a) You’d drop “chemtrails” like it was a poisonous snake. b) You’d respect Science and scientists, and their published works, as valuable additions to human knowledge. c) You’d begin to earn my respect – after your apology. Maybe. I don’t know about you, but “chemtrailers” always leave me with a nasty taste of the world in my mouth. Their inbuilt hatred of science is like a bad case of influenza – life-sapping and soul-destroying. I can think of nothing better than what follows to restore my vitality and zeal – a dynamic lady with a keen mind leads us through the amazing engineering and breath-taking hardware and software design of – CERN, the Large Hadron Collider, in search of the Higgs Boson, amongst other things.